On Tuesday come to the Home Boys Soccer Game at 6 pm v. Ki-Be. 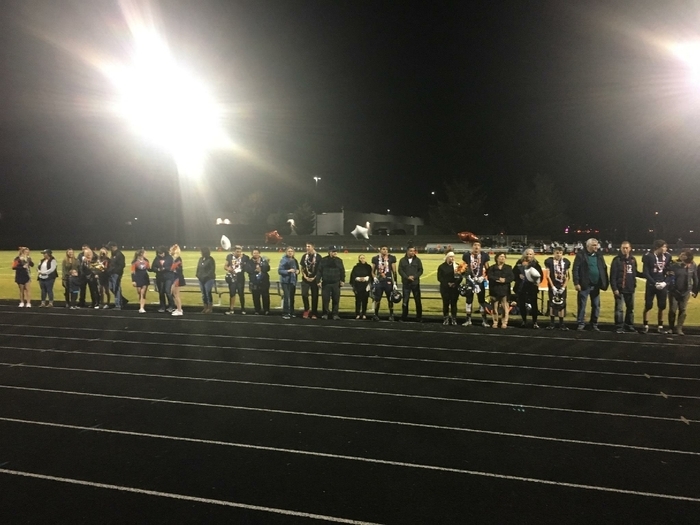 We will recognize our 2019 Senior Soccer Players prior to the game, beginning at 5:40 pm, don't be late! Come cheer on the Hawks for Senior Day! Latino club will also host a Fundraiser at the event! Go Hawks! Good luck to the Hawks Track and Field Teams today as they take on Royal and Riverview in a conference clash! Meet is hosted at Royal HS and events start at 3:30pm. You can check athletic.net this evening to view results online. GO HAWKS! Come out and cheer on Hawks Boys Soccer today as they take on Wahluke! Varsity starts at 4pm followed by JV. Go Hawks! April 12- The CPHS JV Baseball game @ Warden today has been officially CANCELLED. Possible rescheduling TBA. Hawks Baseball is hosting Riverview right now in an SCAC matchup. Come out and root them on! JV game to follow...Go Hawks! Today's CPHS Tennis matches vs. Ki-Be have been cancelled due to weather conditions. Good luck to the Hawks Athletes today! Tennis Plays at home 3:30pm while Softball, Golf, Track, and Soccer all compete on the road. GO HAWKS! The Sager 7/8th Grade Baseball Game today v. Liberty Christian has been CANCELLED due to field conditions, and might be rescheduled for a later date TBA. The CPHS Varsity and JV Baseball Games v. Riverview today, April 9 have been CANCELLED due to unplayable field conditions. Those games have been RESCHEDULED for tomorrow April 10, at CPHS. Varsity at 4pm, follow by JV at 6pm. Good luck to the Hawks Track and Field Team today! They make the short trip to Mac-Hi today, event start around 10 AM. Results can be found on athletic.net after the meet. GO HAWKS! Hawks Track and Field Team travels to Hanford today for the Clay Lewis Invite beginning at 10:30 AM. You can find results after the meet on athletic.net. Good luck Hawks! Hawks Softball takes down Asotin tonight with a 10-8 win to improve to 5-0. Way to go Hawks! Hawks Tennis traveled to Royal today to take on the Knights. Girls won 3-2, and the Boys suffered a 0-5 defeat. Keep up the hard work Hawks! Hawks Baseball defeats Ki-Be by a final score of 8-4 to improve to 3-0 in league play. Way to go Hawks! Good luck to our teams today as they go on the road! Hawks Tennis has a match at Royal HS, and Hawks Varsity Baseball travels to Ki-Be to take on the Bears. GO HAWKS! Hawks varsity baseball and softball both win game two of their doubleheaders at home this afternoon. Way to go Hawks! Hawks soccer falls to bush 0-1 in the final minute. Both softball and baseball win big and start game 2 in a few minutes. Go Hawks! Hawks soccer tied 0-0 at the half v. Bush. Softball leads 5-0 v. Connell, and Baseball leads 3-0 v. Ki-Be. Hawks Softball, Baseball, and Soccer all have home games today starting at 11 AM. Come out and cheese them on! Good luck today Hawks! Hawks Tennis ready to compete today at the Connell invite! Good luck Hawks! Hawks Tennis finds some early season success, the Girls beat Wahluke 4-1, and the Boys fall 0-5. Final for softball Hawks win game two 15-1. Hawks softball wins game 1 by a score of 19-0. Game 2 starts in about 20 minutes. Go Hawks! Hawks softball ready to go for the home opener! Game starts in about 15 minutes, Go Hawks! FIRST HOME SOFTBALL AND TENNIS CONTESTS OF THE SEASON TODAY! Softball takes on LaSalle in a doubleheader beginning at 2pm. Tennis hosts Wahluke starting at 3:30pm. Come out and enjoy the warm weather and cheer on the Hawks! CANCELLED- CPHS GOLF MATCH ON MARCH 21 HAS BEEN CANCELLED. Hawks Tennis traveled to Connell Yesterday for their first matches of the season. They battled hard, but unfortunately fell to Connell Boys 0-6 and Girls 0-6. They look to improve this Thursday in their home opener here at CPHS, starting at 3:30pm v. Wahluke. Good Luck Hawks! Hawks soccer wins their 2nd game of the season with a 4-3 victory over Mabton to improve to 2-0 overall. Hawks take the lead 4-3 with 5 minutes to go! Mabton scores twice in the second half. Score is now tied at 3 with 24 minutes remaining. Let's go Hawks! Hawks Boys soccer is taking on Mabton in the home opener! At the half the Hawks lead 3-1. CPHS GOLF ON WEDNESDAY, MARCH 20 HAS BEEN CANCELLED DUE TO COURSE CONDITIONS. 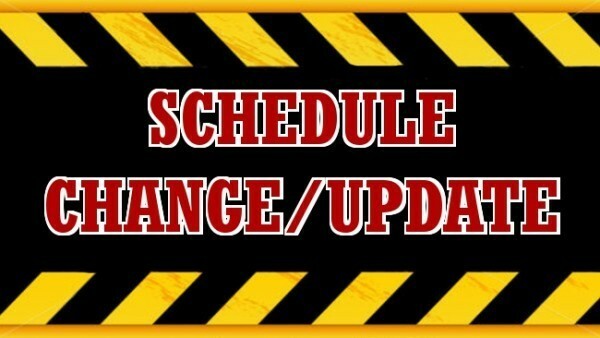 THE CPHS VARSITY SOFTBALL DOUBLEHEADER V. LASALLE ON TUESDAY, MARCH 19 HAS BEEN RESCHEDULED/RELOCATED TO THURSDAY, MARCH 21 AT COLLEGE PLACE HIGH SCHOOL 2 AND 4 PM. The CPHS Track Team is on the road to Wahluke for their first meet of the season! Results will be posted after the meet on Athletic.net. Good luck to our athletes and, as always, Go Hawks! THE CPHS V. LASALLE VARSITY BASEBALL GAME ON 3/19/19 HAS BEEN CANCELLED DUE TO FIELD CONDITIONS. POSSIBLY RESCHEDULED FOR A LATER DATE TBA. The March 14 CPHS Golf Match at Milton-Freewater has been rescheduled for March 21, 2pm @ Milton-Freewater Golf Course. CPHS Varsity Softball v. Asotin on Wednesday, March 14 is RESCHEDULED to March 27 @ 4 PM, here at CPHS. CPHS Track- The MacDougall Invitational Track Meet that was scheduled for March 23 has been cancelled. We have added a meet to the schedule, CPHS Track will compete in the Underberg Invite on April 27 at Lind-Ritzville HS, 11 am. THE CPHS VARSITY BASEBALL GAME v. MAC-HI ON THURSDAY MARCH 14, 2019 HAS BEEN OFFICIALLY CANCELLED DUE TO WEATHER AND FIELD CONDITIONS. 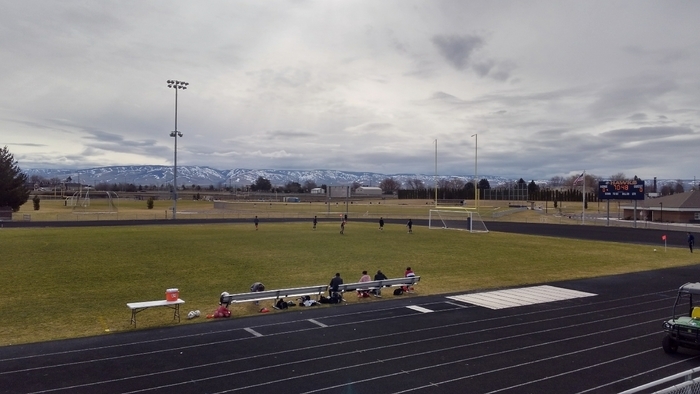 ANOTHER SOCCER CANCELLATION- Due to weather and field conditions the CPHS Boys JV and Varsity Soccer games @ Granger HS on Thursday, March 14 have been officially CANCELLED. Due to weather and field conditions the CPHS Boys Soccer game v. La Salle HS on Tuesday, March 12 has been officially CANCELLED. The CPHS Baseball and Softball games versus Toppenish on Saturday, March 9 have been cancelled due to weather and field conditions. 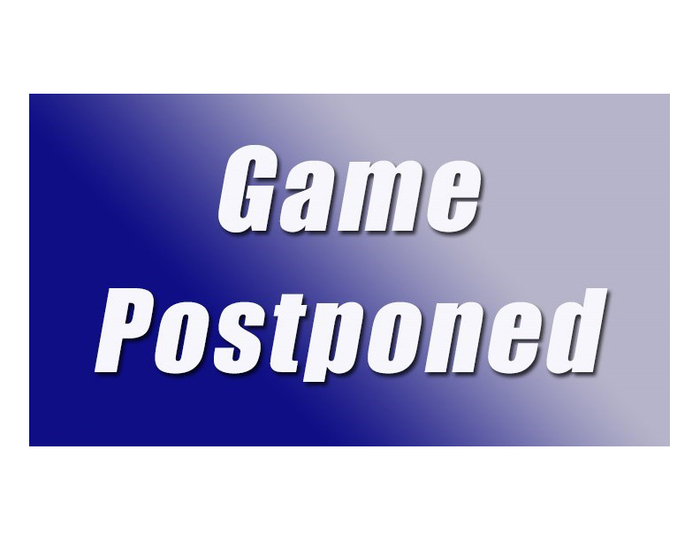 Feb. 25-Sager 6th Grade Girls Basketball v. Assumption is CANCELLED Today. Sager Wrestling Party after school is Cancelled as well. Due to Weather CPHS Spring Practice Times/locations have been updated. Check the CPPS.org Athletics News for more info, or the CPPS Facebook Page. Great season for the Lady Hawks Basketball team. First ever appearance in the district tourney! 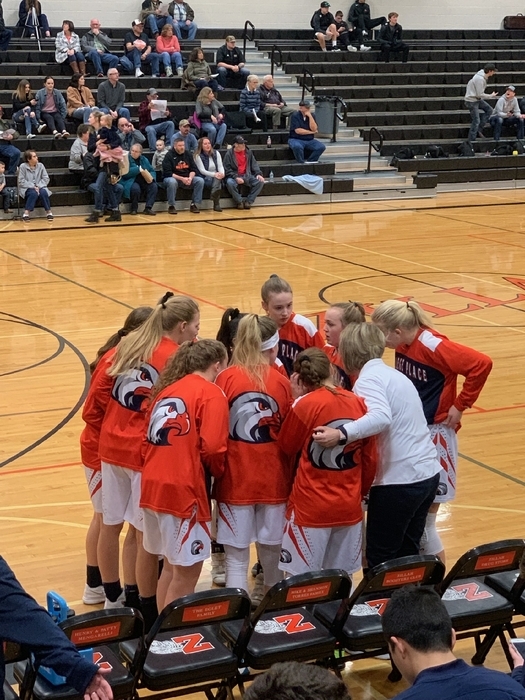 Unfortunately their season ends today with a loss to Zillah 30-55. Hawks Girls tied with Zillah 5-5 four minutes into he first quarter. 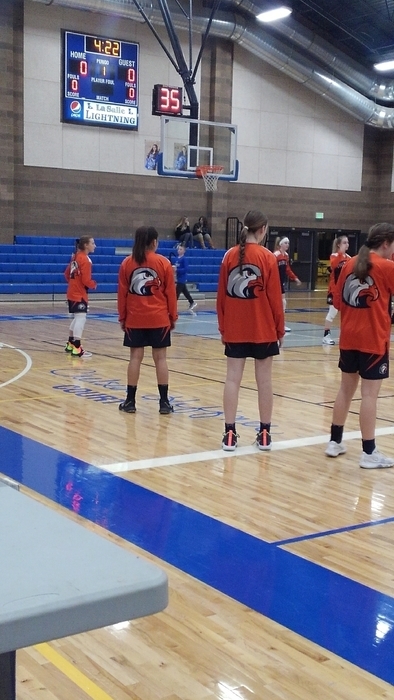 5 minutes until tip, Hawks Girls BB getting warmed up to take on the Zillah Leopards. Good luck ladies! 3:45 to play, Hawks trail Naches by a score of 35-51. After 3 quarters of play the Rangers lead the Hawks by a score of 25-42. Going to need a big rally to extend the season, Go Hawks! Halftime score Hawks down 10-30 to the Rangers. At the end of the 1st quarter Hawks trail the Rangers 4-13. 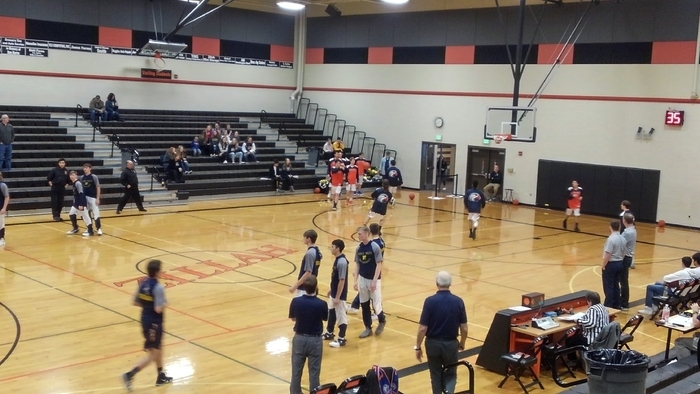 Hawks Boys Basketball getting ready to take on Naches Valley in a 2nd Round District elimination game. Tip off at 2pm, GO HAWKS! GAME ON! HAWKS DISTRICT PLAYOFF BASKETBALL GAMES WILL BE PLAYED AS SCHEDULED TODAY. Boys v. Naches 2pm, Girls v. Zillah 3:30pm. 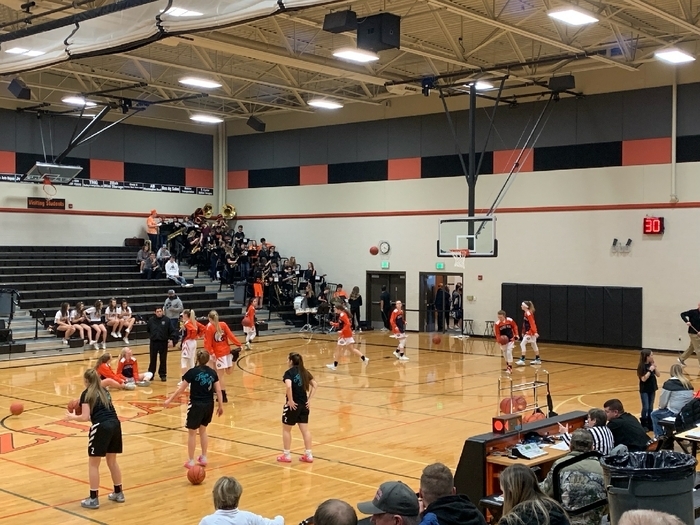 both games at Zillah Middle School (1301 Cutler Way, Zillah, WA 98953). I will post live feed during games, also tune in to KGDCradio.com or 102.3FM. The Sager 7/8th Grade Wrestling Meet at Garrison today, Feb. 14 has been cancelled. Sager Wrestling will practice at 3:15pm in the wrestling room. Feb. 14- CPHS Girls and Boys DIstrict Basketball games have been cancelled today due to weather and travel conditions, they are rescheduled for Friday, Feb. 15. See updated schedules on CPPS.org, the CPPS Facebook Page, and scacconference.org. Congratulations and good luck to Kole Stubblefield, Joel Brown, and Alex Smith! They left early this morning for Regional/State Wrestling in Tacoma! Wrestling starts tomorrow morning, you can follow action on Trackwrestling.com, the CPPS Live Feed, CPPS Facebook page. ALL AFTER SCHOOL ACTIVITIES AT DAVIS, SAGER, AND CPHS HAVE BEEN CANCELLED FOR FEB. 13, 2019. MORE INFO TO COME REGARDING RESCHEDULING OF ATHLETIC EVENTS. YOU CAN CHECK IN FOR UPDATES AT CPPS.ORG OR THE CPPS FACEBOOK PAGE. Today, February 13, College Place School District will be running on a 2 hour delay. There will be no breakfast services and morning Preschool has been canceled. Buses will pick up students approximately 2 hours later than normal pick up times. Tomorrow's Sager 7/8th Grade Basketball at Sager v. Dayton/Waitsburg will have an additional game. A-Teams will play at 4pm, follow by B-Teams. FEB. 12 - TODAY'S CPHS GIRLS AND BOYS DISTRICT BASKETBALL TOURNAMENT GAMES ARE OFFICIALLY CANCELLED TO TO WEATHER AND TRAVEL CONDITIONS. MORE INFORMATION AND SCHEDULE UPDATES COMING SOON. *ALSO SAGER WRESTLING AT PENDLETON HAS BEEN CANCELLED TODAY AS WELL. Tonight's CPHS Wrestling Banquet has been cancelled due to winter weather. It will be rescheduled for a later date to be announced. ALL DAVIS AND SAGER AFTER SCHOOL ACTIVITIES ARE CANCELLED FOR WEATHER. CPHS GIRLS/BOYS VARSITY BB TEAMS WILL PRACTICE FROM 3:15-4:45 PM AND CPHS WRESTLING PRACTICE TIME IS 4:15-5:30 PM. SEE FULL LIST OF DETAILS ON THE CPPS ATHLETICS WEBSITE OR FACEBOOK PAGE. The CPHS Boys Basketball End of Season Banquet has been rescheduled to Thursday, February 14 at 6pm in the CPHS Commons. Players and their families are invited to attend! ALL CPHS BOYS/GIRLS DISTRICT BASKETBALL GAMES FOR TODAY, FEB. 11 HAVE BEEN POSTPONED DUE TO WINTER WEATHER. Games will be rescheduled for Tuesday, Feb. 12 with same game times and locations that were listed today. See full updates on the CPPS Athletics News Page or CPPS Facebook. ALL CPHS BOYS/GIRLS DISTRICT BASKETBALL GAMES FOR TODAY, FEB. 9 HAVE BEEN CANCELLED DUE TO WINTER WEATHER. Games will be rescheduled for Monday, Feb. 11 with same game times and locations that were listed today. See full updates on the CPPS Athletics News Page or CPPS Facebook. Due to adverse weather conditions, the WIAA has decided to CANCEL the regional wrestling tournament tomorrow at Royal. More information will be released when it is available. Final score - Hawks 45 Zillah 95. 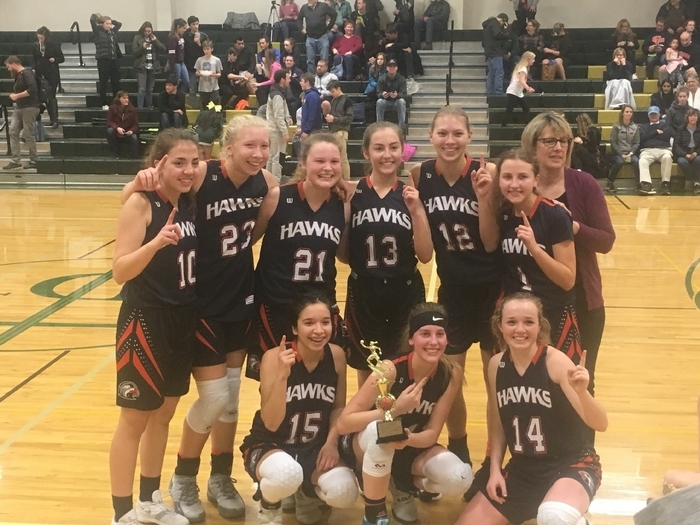 Hawks will take on the loser of Naches and Connell this Saturday at Granger or Zillah. Game time TBA. Halftime score, the Hawks trail Zillah 14-64. End of the first quarter, Zillah leads the Hawks 25-4. Middle of the first quarter Hawks trail 2-13. 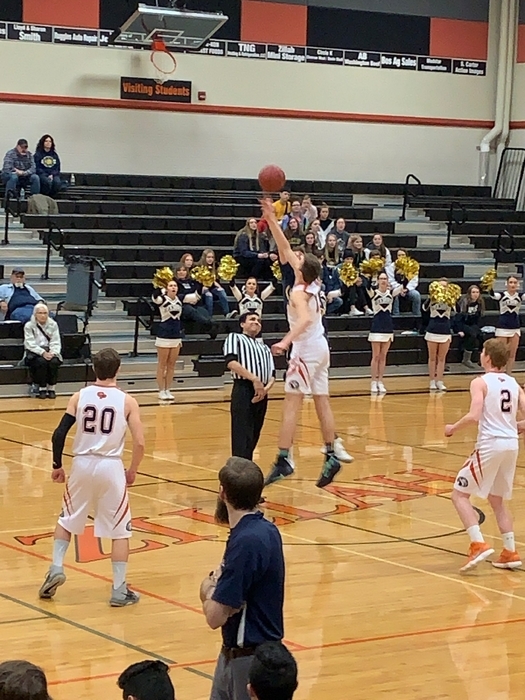 Tonight's Hawks basketball boys playoff game is at Zillah Middle School gym 7:00pm. The start time of Varsity Wrestling Regionals on Saturday, February 9 has been changed to 11am, still at Royal High School. Good luck to our CPHS qualifying wrestlers! Lady Hawks fall in the first round by a fun score of 35-71. They will take on Zillah in an elimination game Saturday, time/location TBA. With just 4 minutes remaining the Hawks trail LaSalle 26 to 67. Near the end of the 3rd, Hawks are down 24-59. Halftime score LaSalle leads the Hawks 17-40. 2 minutes before halftime Hawks trail 17-36. End of the 1st quarter Hawks trail 10-23. Middle of the first quarter Hawks trail the Lightning 5-17. Lady Hawks basketball getting warm for their first round District Playoff game at La Salle. Tipoff in 7 minutes, check back for in game updates. Go Hawks! Sager Raider Wrestling has their first ever home Wrestling Meet today in the Sager Gym starting at 4:00pm! Come out and see our Girls and Boys Wrestlers in action and cheer them on! Good luck today Raiders! Lady Hawks Basketball travels to La Salle tonight to take on the SCAC West #1 seed in their first ever District Playoff appearance. Game time is 7:00pm. Due to conflicts, the game will not be broadcast on the radio by KGDC2. We will post live feed updates to CPPS and Facebook. FEB 5, 2019 - ALL DAVIS AND SAGER SPORTS GAMES AND PRACTICES HAVE BEEN CANCELLED TODAY. CPHS GIRLS BASKETBALL PLAYOFF GAME AT LASALLE IS RESCHEDULED FOR FEB. 6 @ LASALLE 7:00PM. CPHS BOYS AND GIRLS BASKETBALL WILL PRACTICE TODAY FROM 3:30-5:00PM, CPHS WRESTLING 5-7PM. Feb. 4, 2019- ALL DAVIS ELEMENTARY AND SAGER MS SPORTING EVENTS AND PRACTICES HAVE BEEN CANCELLED TODAY. CPHS GIRLS AND BOYS BB WILL PRACTICE FROM 3:15-4:45 PM, AND WRESTLING WILL PRACTICE FROM 4:15 -5:30 PM. PRACTICES COULD END EVEN SOONER IF TRAVEL CONDITIONS GET WORSE. Way to go Kole Stubblefield! 2nd place finish in the SCAC East! Best finish in Hawks History! Kole, Joel Brown, and Alex Smith will all compete in Regionals next Saturday! Great effort from all the Hawks today! Joel Brown and Alex Smith both place 3rd in their respective weight classes with a couple of wins and advance to regionals! Kole Stubblefield will wrestle for a chance at a SCAC East Title soon. Kole Stubblefield, Joel Brown, and Alex Smith all earned a spot it Regionals next week! Congrats Hawks! They will continue wrestling for seeding, check back for updates. Joel Brown defeats Landon Davis in a Hawks matchup and will advance to the next round, Landon will wrestle again for a chance to be a regional alternate. Alex Smith wins his match to advance! Joel Brown loses his first match, Alex Smith loses his second match but will have another opportunity to advance and Edi Preciado is eliminated with his 2nd loss of the day. District wrestling: Kole Stubblefield wins his first match and will advance in the winners bracket! Wrestling update: Tice Hiner drops his first match, Alex Smith wins his first match, Landon Davis loses a close one, and Edi Preciado drops match one. More wrestling to come, go Hawks! 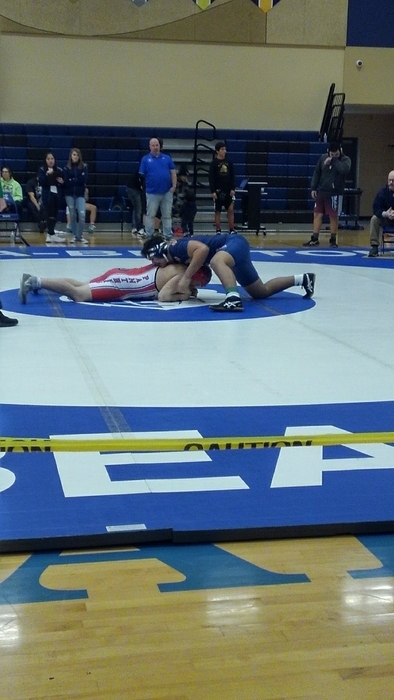 You can follow this link http://www.trackwrestling.com/predefinedtournaments/MainFrame.jsp?newSession=false&TIM=1549131018768&pageName= to view live brackets on Track wrestling from Districts! Go Hawks! Good luck to the Hawks Wrestlers as they compete in the District Tournament in Ki-Be starting at 10:00 am tomorrow morning. Check back for live feed updates as I will be posting results for our wrestlers. Go Hawks! Good luck to the Boys and Girls Basketball Teams as they travel to Connell for the final regular season games of the season tonight. Remember you can follow the Hawks on KDGC2 102.3 FM or stream at khssradio.com. Girls 6:00 pm followed by the Boys game. GO HAWKS! Tonight we recognize our Senior Basketball Players and Cheerleaders prior to pregame warm-ups before each Varsity Contest. Girls BB and Cheer ceremonies will be at around 5:45pm, and Boys BB will be around 7:15pm. Come out and cheer on the Hawk Seniors for the last time at home! 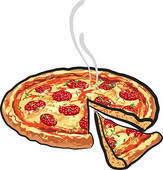 CPHS FCCLA will host a pizza feed on Tuesday, January 29 from 5-8:30pm at CPHS during the basketball games v. Ki-Be. Pizza will be $3/slice or $5 for full meal (pizza, salad, and breadstick). Come cheer on your Hawks Basketball teams and eat a delicious dinner! The Boys Basketball C-Team game v. Ki-Be on Jan. 29 is officially CANCELLED due to lack of players for Ki-Be. Additionally, the Girls C-Team game v. Mac-Hi on Jan. 29 time will be moved up to a 6:00 pm start time in the Sager Gymnasium. Come see the Hawks Girls and Boys Basketball Teams in action tonight at home as they take on Wahluke with a spot in the District playoffs on the line! Girls Varsity 6:00pm follow by Boys Varsity. You can also listen in on KGDC 102.3 FM or stream at khssradio.org. GO HAWKS! Tonight is the only home Wrestling Dual for CPHS this season. Admission is free, come see the Hawks take on Royal and Riverview starting at 6pm in the CPHS Gym. GO HAWKS! 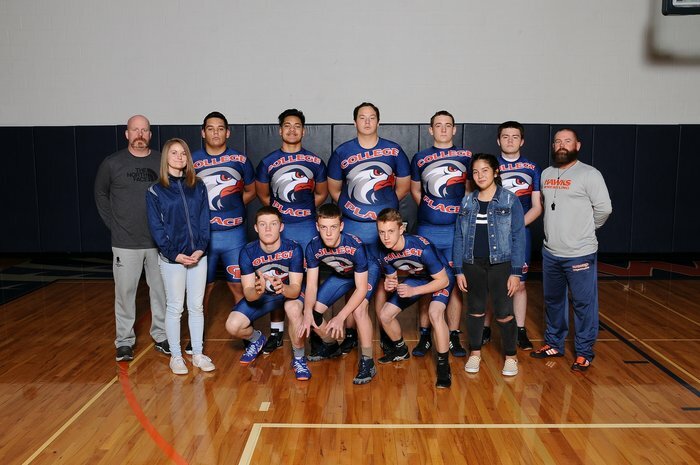 Good luck to our Hawks Wrestling Team today as they travel to compete in the Farm City Invite in Hermiston, Oregon. Wrestling starts at 10am. Go Hawks! Tonight, your CPHS Hawks Basketball teams take on the Connell Eagles in a home contest. JV Games begin at 4:30, Girls Varsity/Boys C at 6, and Boys Varsity/Girls C at 7:30. Come watch the games in person at CPHS or listen to KGDC 102.3FM on the radio or online. Go Hawks! Tonight, your CPHS Hawks Basketball players travel to take on the Ki-Be Bears! Listen to KGDC2 102.3 FM or stream online at kgdcradio.com. Girls Varsity play at 6pm and Boys Varsity at 7:30pm. Good luck Hawks! Good luck to the Boys and Girls Basketball Teams as they are on the road tonight at Wahluke HS, and tomorrow at Royal HS. Girls Varsity @ 6:00pm, Boys Varsity @ 7:30pm. You can tuned in on KGDC2 102.3 FM or stream online at kgdcradio.com. GO HAWKS! Hawks Girls Basketball defeats DeSales 56-40 to take home the Christmas Tournament Championship! Way to go Hawks! Hawks Basketball Radio update: Due to scheduling conflicts the Hawks Radio broadcasts will air on KHSS 100.7 FM today. You can also stream the games at kgdcradio.com or find the link on the CPPS Athletics site. Both teams take on Desales, Boys 4:30pm, Girls 6:00pm. Go Hawks! Desales Tourney update: Hawks Girls win, will play the 6:00pm championship game tomorrow. Hawks Boys take a loss and will play at 4:30pm in the 3rd/4th place game. The Hawks Wrestling Team travels to Royal tomorrow, Dec. 28 for the annual Royal Christmas Tournament. Wrestling begins at 10:00am. Good luck Hawks! First basketball games of the DeSales Christmas Tourney are today for the Hawks. All games are at the Desales Gym, Hawks Girls and Boys take on Moses Lake Christian today. Girls play at 3pm, followed by Boys at approx 4:30pm. Hope to see you there! GO HAWKS! Start your winter break off right cheering for your Hawks basketball teams! Tonight, they take on La Salle at home. JV begins at 4:30, Girls Varsity at 6, and Boys Varsity at 7:30. Join us in the gym or listen live at KGDC 102.3FM or stream online. Go Hawks! Tonight, Hawks Basketball takes on Warden at home, in their first league game of the season. Come cheer on your teams or listen to Varsity games on KGDC102.3 FM or stream online! JV Games begin at 4:30. Go Hawks! 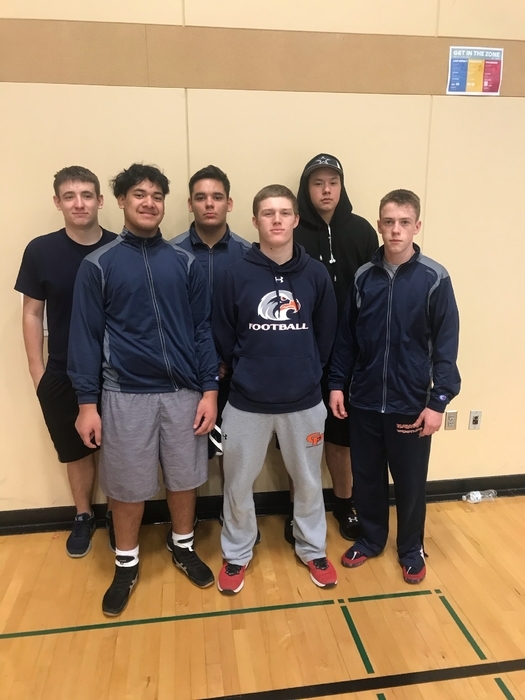 On Saturday, December 15, the CPHS Wrestling team travels to Mac-Hi in Milton-Freewater to compete in a Varsity Invitational at 10am. Good luck Hawks! Tonight, Friday, December 14, Hawks Boys and Girls JV and Varsity Basketball teams travel to take on Helix in non-league play. JV Girls play at 3, JV Boys at 4:30, Girls V at 6, and Boys V at 7:30. Listen on KGCD2 102.3 FM or stream online. Go Hawks! Saturday Dec. 8 the Hawks Girls and Boys Basketball teams take on Columbia-Burbank in non-league action. The Varsity home and away games will be radio broadcast on KGDC2 102.3 FM, or you can stream online. Check out scacconference.org for full schedules! JV games start at 4:30pm. Come out and see the Hawks Basketball teams at WWVA tonight. JV girls are playing now, Boys JV 4:30, Girls V 6:00, Boys V 7:30. Go Hawks! Hawks Boys basketball falls to Mac-Hi in the season opener by a score of 61-39. They take on WWVA on Tuesday. Lady Hawks basketball takes down Mac-Hi in the season opener with a final score of 53-27. Way to go Hawks! Hawks Girls and Boys Basketball travel to Mac-Hi tonight to take on the Pioneers in their first games of the season! Schedule- GJV 3:30, BJV 5:00, GV 6:30, BV 8:00pm. Good luck on the road tonight Hawks, you can listen to both Varsity games on KGDC2 102.3 FM or stream online! Hawks Girls and Boys Basketball travel to Mac-Hi tonight to take on the Pioneers in their first games of the season! Schedule- GJV 3:30, BJV 5:00, GV 6:30, BV 7:00pm. Good luck on the road tonight Hawks, you can listen to both Varsity games on KGDC2 102.3 FM or stream online! 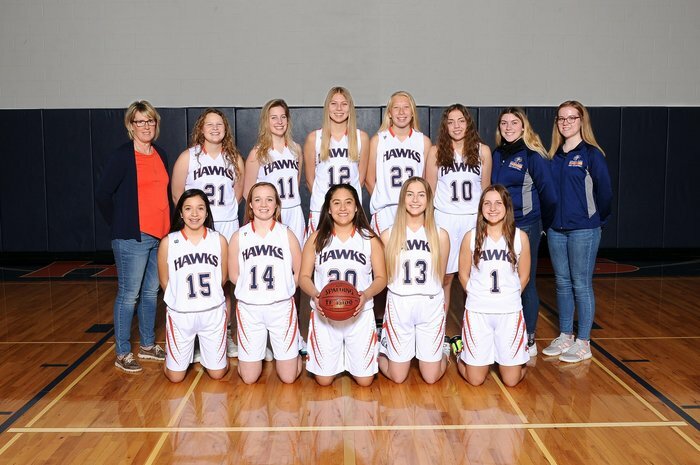 Lady Hawks JV and Varsity Basketball take the court for their first action of the season tomorrow, Nov. 27. 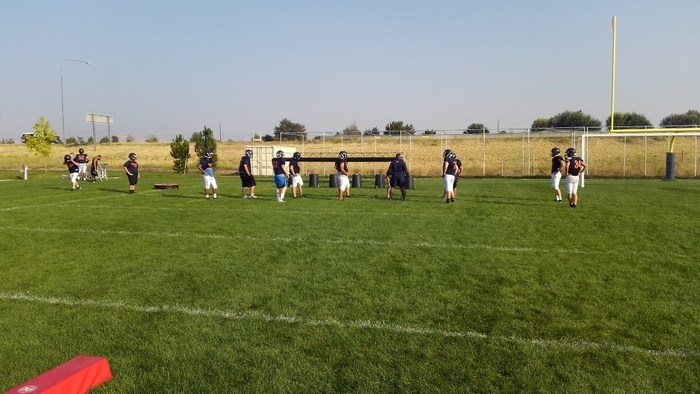 They travel to East Valley HS in Yakima to play in a preseason Jamboree v. East Valley and Ellensburg. JV plays at 6 & 7pm, Varsity plays at 6:30 & 7pm. Good Luck Ladies! The CPHS Boys Basketball JV and Varsity Jamboree schedule for Nov. 27 has changed slightly. Boys JV will play at 5:00 and 6:00pm, the Boys Varsity Team will play at 5:30 and 6:30pm. All contests are only 20 minutes and will be played at Othello High School. Hawks Boys Basketball Taco Feed Fundraiser is tonight in the CPHS Commons starting at 6pm! Bring the family and your friends! $5 per plate or $15 for the family! See you there! Hawks Boys Basketball tryouts, getting warmed up for day one! Hawks wrestlers getting loose for the first practice of the year. Lady Hawks getting some shooting instruction on Day 1. 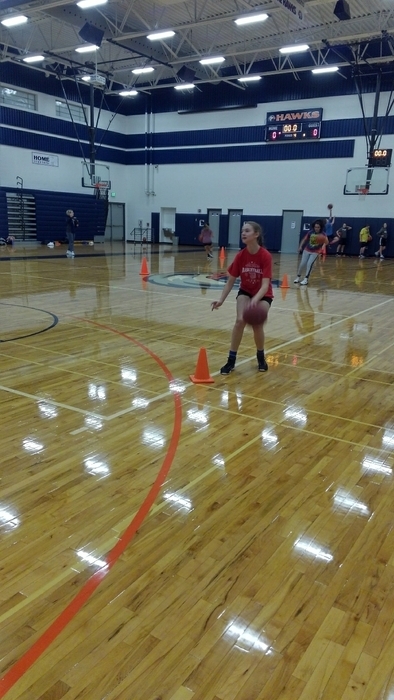 Lady Hawks Basketball getting to work on day one of tryouts! Reminder- CPHS Boys and Girls Basketball Parent/Player Meeting tonight at CPHS 6pm. All players and parents please attend. If you cannot, be sure to contact Julie Hill jhill@cpps.org for Girlsl or Paul Jessup pjessup@cpps.org for Boys to get the appropriate information. Correction to prior notification: Thursday, Nov. 8 at 6pm there will be Preseason Parent/Player Meetings for CPHS Boys and Girls Basketball. The meetings are scheduled for 6:00pm. All parents and players of prospective Basketball players should attend. Thursday, Nov. 8 at 6pm there will be Preseason Parent/Player Meetings for CPHS Boys and Girls Basketball. The meetings are scheduled for 6:00pm. All parents and players of prospective Basketball players should attend. 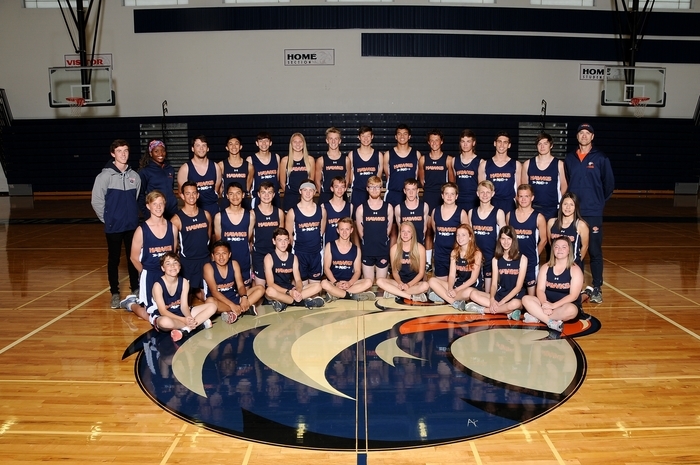 The Hawks Cross Country Banquet is tonight at 6pm in the Davis Elementary Commons. Families and Players are invited to attend and celebrate their season together. The CPHS Volleyball Banquet is tonight in the CPHS Commons at 6pm. All Hawks Volleyball players and families are invited to attend to celebrate their season. Thursday, Nov. 6 at 6pm there will be Preseason Parent/Player Meetings for CPHS Boys and Girls Basketball. The meetings are scheduled for 6:00pm. All parents and players of prospective Basketball players should attend. Best of luck to the Hawks Volleyball team today in Connell. They take on Naches Valley at 11:00 AM in a second round loser out game. Winner will advance to play again for a shot at moving on to state! Full bracket available at scacconference.org. GO HAWKS VOLLEYBALL! 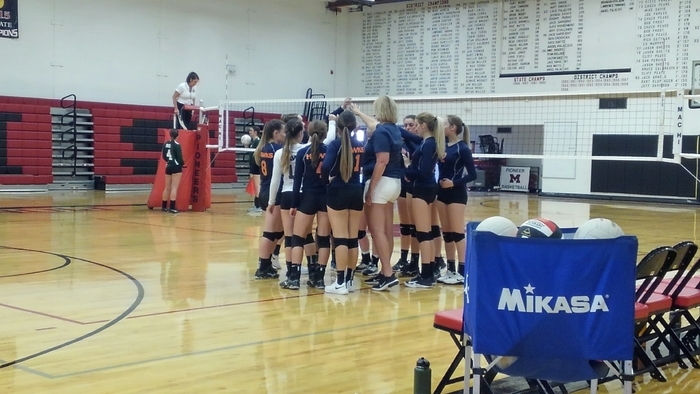 Hawks volleyball falls to Naches 0-3 to end their season. Awesome job this season, they made Hawks history with the first ever district tournament birth. Good job this year ladies! Hawks struggle in set 2 and fall 12-25 to Naches. Need a victory now to stay alive. Go Hawks! Hawks fall to Naches Valley in the first set 15-25. Hawks Volleyball getting warmed up to take on Naches in the 2nd round of the district Volleyball Tournament. Game starts at 11 am, I will post scoring updates throughout the game. Go Hawks! Good luck to the Hawks XC State Participants today! Dacia Kasenga, Melia Loe, Emma Rogers, and Drew Adams will race in the 1A State Championships today in Pasco at Sun Willow Golf Course. Girls race starts at 10:30am, followed by the Boys Race at 12:00pm. GO HAWKS XC! Congratulations to the Hawks Football team! Their 28-3 win over Grandview tonight sets their best ever season record at 5-5. Way to go Hawks! Good luck to the Hawks Football Team tonight. They travel to take on Grandview in a Week 10 matchup. Tune in to KGDC 102.3 FM or stream the broadcast on kgdcradio.com. Go Hawks! Good luck to our CPHS Cross Country State Qualifiers as they preview the course today and race tomorrow! We're cheering for you! Score of the third set 12-25 Hawks fall to the Spartans to drop he match. Hawks will play at Connell on Saturday in the 2nd round, time TBA. Hawks fall in the second set to Granger 16-25. 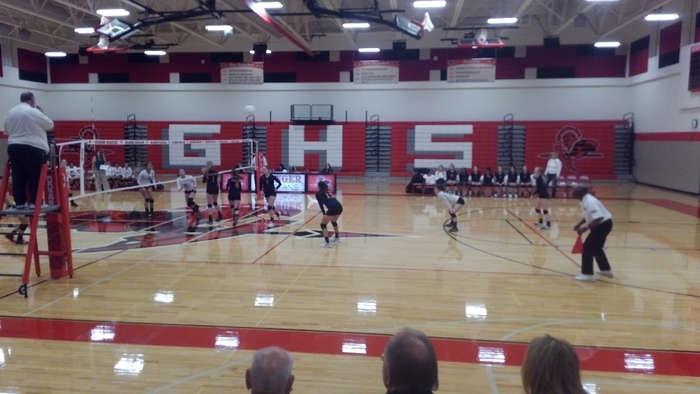 Hawks drop the first set to Granger 11-25. Looking to bounce back in in the next one, let's go Hawks! Hawks volleyball getting started v. Granger in the first round of districts! Check back on the live feed or Facebook page for more updates. Good luck to the Hawks Volleyball Team tonight! They make their first ever appearance in the District Playoffs at Granger HS, 6:00pm. Win or lose they will play again on Saturday in Connell! Bracket available at scacconference.org. GOOD LUCK HAWKS!!! Hawks soccer falls to the Warriors 0 to 3. Tough end to a great season, great job making Hawks history and being the first girls soccer team to make the playoffs! 30 minutes to play Hawks now trail 0 to 1 to the Warriors. Soccer score remains tied at 0 at the half. Second half begins now let's go Hawks! Soccer update 10 minutes remaining first half Hawks and Cle Elum are tied at 0. 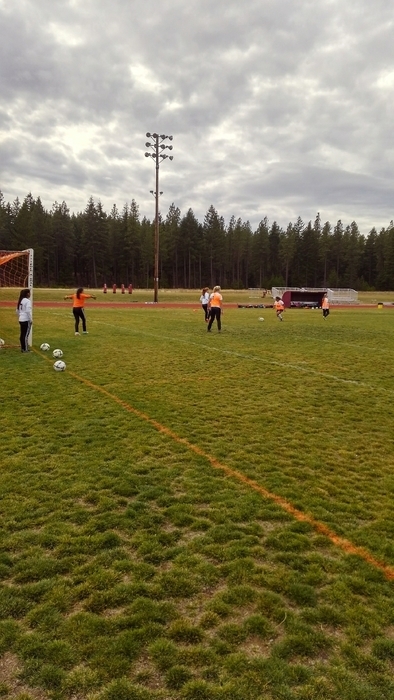 Hawks Girls Soccer getting warmed up for their first ever District playoff game at Cle Elum. Game starts at 3 p.m. good luck Hawks! Check the live feed for updates. Senior cheerleaders and football players, thank you for making our programs great! Thanks to your families for their support, go Hawks! 4 Hawks XC Runners Moving on to State! Congratulations to Melia Loe, Drew Adams, Emma Rogers and Dacia Kasenga! State Bound! Girls Team finished 4th, Boys placed 6th. 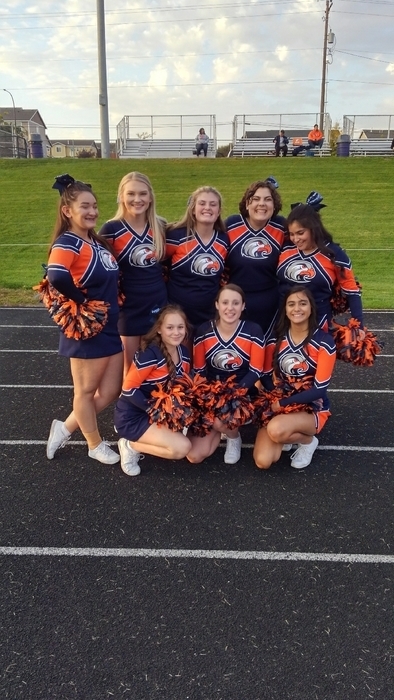 At 6:30 Friday night, prior to the Hawks Football Game v. Royal, we will have Senior Recognition for Cheer and Football. Please join us as we honor our seniors in a pregame ceremony with parent and family members. Thank you Hawks seniors for all of the memories. Game time 7:00pm! Good luck to the Hawks Boys and Girls XC Teams today! They travel to Appleridge XC Course to compete in the SCACA District Championships! First Varsity Race is at 3:30pm! Check back later for updates, and results on athletic.net. GO HAWKS! What an awesome ending with a shootout on senior night for Hawks Girls Soccer! Thanks to all the fans for coming out and soccer parents for the taco feed fundraiser! Good luck at Districts ladies! Congratulations seniors! Good luck tonight in the final home game of the season! Tonight is Hawks Girls Soccer Senior Night! Ceremony will start at 5:40, game time 6:00pm. They will also be host a $1 Taco Fundraiser to support Girls Soccer, with special events at halftime. Come cheer on the Hawks as they take on Mac-Hi in the last home game of the season! Good luck to Hawks Football tonight! They travel to Cashmere for a non-league matchup. Game time is 6:00pm, you can tune in to KGDC2 102.3 FM to follow the Hawks on the road, pregame show starts at 5:35pm. Good Luck Hawks! Tonight at 7pm is CPHS Drama Club's Improv Night! First show of the year, come and enjoy a night of laughs in the CPHS Commons!!! Hawks XC Travels to Connell for the lat regular season League Meet of the year! First races starts at 4:00pm. Good luck Hawks Runners!!!!! Hawks Volleyball travels to Warden ready to take on the Cougars tonight. Playoff seeding is on the line as the Hawks attempt to move forward and grad their first ever playoff appearance. GOOD LUCK TONIGHT LADIES! Good luck to Hawks Lady Soccer tonight! They travel to Warden to take on the Cougars at 6pm. BIG playoff seeding implications are on the line! We wish them the best as they fight to participate in their first ever post-season match. GO HAWKS!!!! 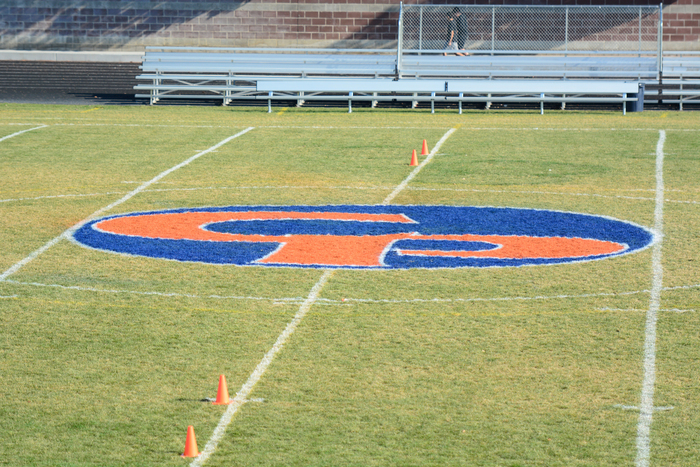 Big thanks to Karl Christensen for his awesome field painting and the CP Booster Club for the donation of funds! The field logo looks amazing!!!! Go Hawks! Hawks Volleyball tied 1-1 with Connell entering the 3rd set. Go Hawks! Tonight is Senior Recognition for our Hawks Volleyball Players! The recognition ceremony will take place promptly after the JV Game, approximately 6:45pm. 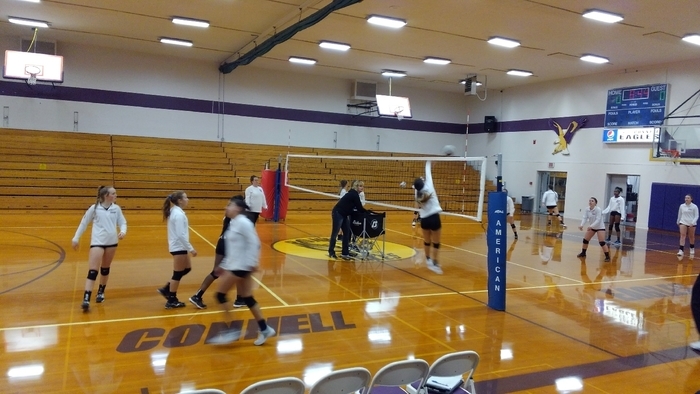 The Hawks take on Connell in a League matchup with playoff seeding on the line. Good luck tonight Hawks! 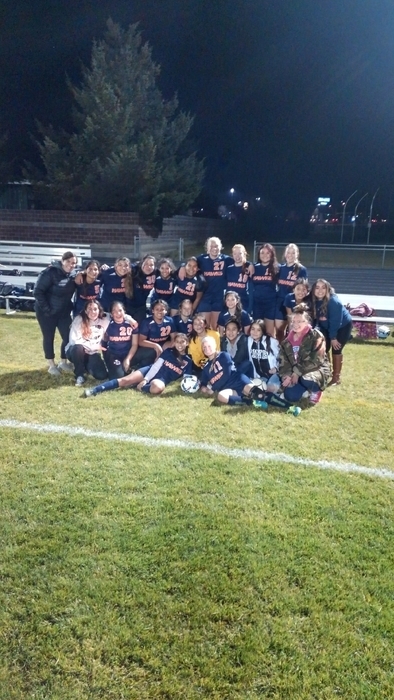 Come out and support Hawks Lady Soccer today as they take on Zillah in a non-conference match. Game time 11am at CPHS Stadium. Good luck Ladies! Hawks victory at home tonight! 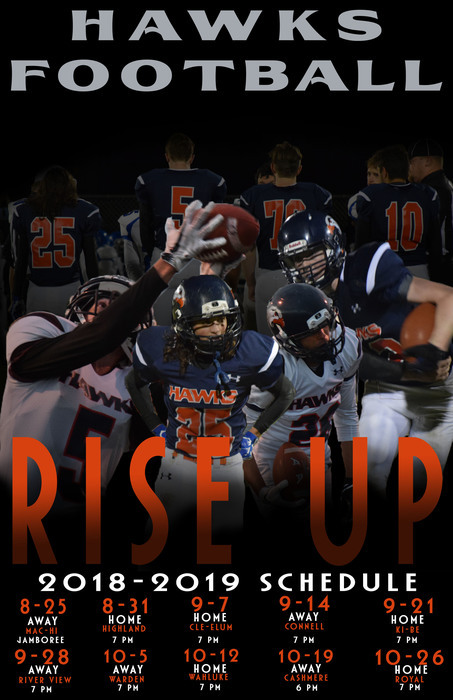 Come out tonight and see Hawks Football take on the Wahluke Warriors tonight, 7:00pm at CPHS Hawks Stadium. Gates open at 5:30pm. 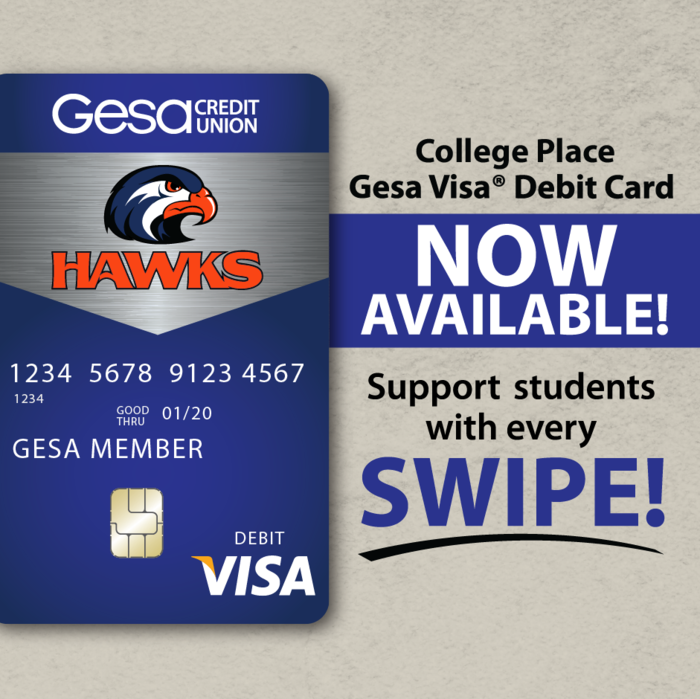 Check out some special promo's from our local GESA Credit Union! Good Luck Hawks! 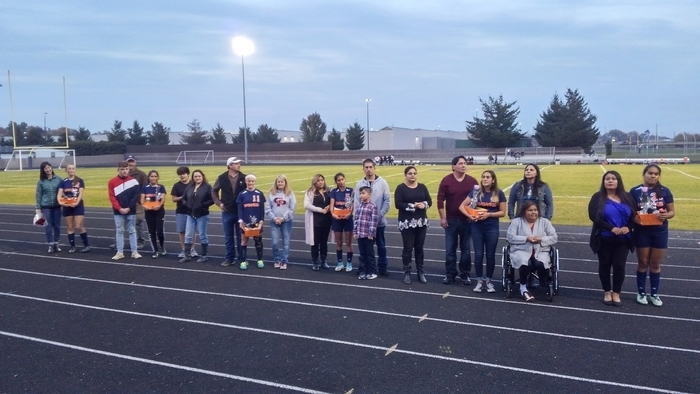 Hawks XC senior recognition was awesome! Thanks to everyone who pitched in! Congratulations seniors! Oct. 11- Today is the only home Sager/CPHS XC Meet of the 2018 season at Fort Walla Walla Park. We start the event with Senior Recognition at 3:45pm, and the first race begins at 4:00pm. Come out and support the Hawks and Raiders XC Teams, hope to see you there! Good luck! The Hawks JV Football home game today Monday, Oct. 8 v. Warden has been cancelled. 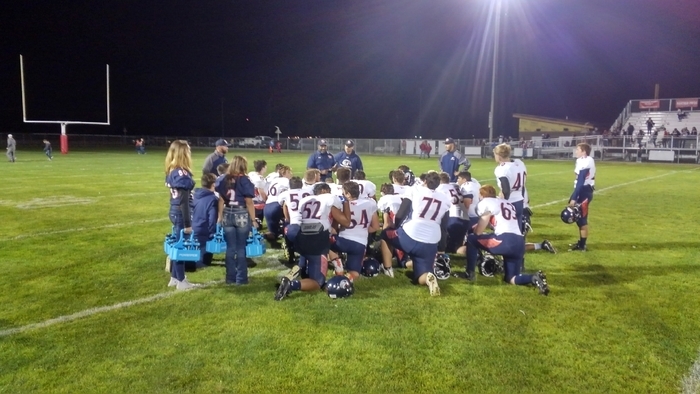 The Hawks JV Football home game on Monday, Oct. 8 v. Warden has been cancelled. Good luck to Hawks XC today as they compete in the Max Jensen Invitational, at Carmichael Middle School in Richland today! First races start at 10:00 am. At the half Hawks football trails Warden 0-28. Hawks football getting ready for game time. Kick off at 7:00 PM. Check back for updates or follow on KGDC 102.3 FM, or stream online with the link on the CPHS athletics website! Go Hawks! October is Breast Cancer Awareness Month and the CPHS Volleyball team is wearing pink tonight, October 4, to show their support for all who have been diagnosed with breast cancer. The team is also playing in honor of anyone who has had their lives touched by a cancer diagnosis. 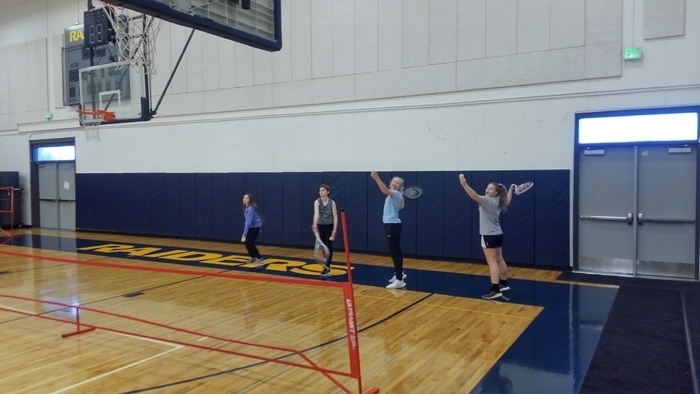 The CPHS C-Team Volleyball game on 10/4/18 v. Ki-Be has been cancelled. The JV and Varsity games will still be played at normal time in the CPHS Gym. 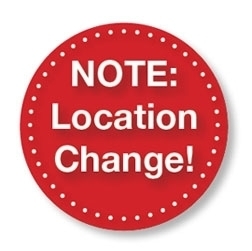 The location of the Sager 7/8th Volleyball game on Wednesday, Oct. 3 at 4pm is now at Sager Middle School Gym. 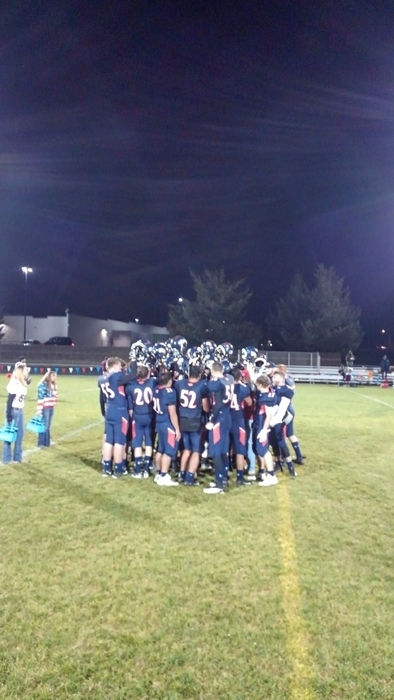 It had been previously scheduled at Liberty Christian in Richland. First league win in school history! Way to go Hawks! Hawks hold on to win versus Riverview in a close hard fought game. Final score 16-8. Way to go Hawks! 6 minutes left in the fourth quarter Hawks still lead 16 to 8 but Riverview is in the 25-yard line in Hawks territory. At the end of the third quarter Hawks lead 16 to 8. Let's go Hawks! At halftime the Hawks lead 9-0 over Riverview. At the end of the first quarter Hawks lead Riverview 9-0. Hawks getting ready for another Friday night v. Riverview! Tune in to KGDC 102.3 FM to follow the game live! 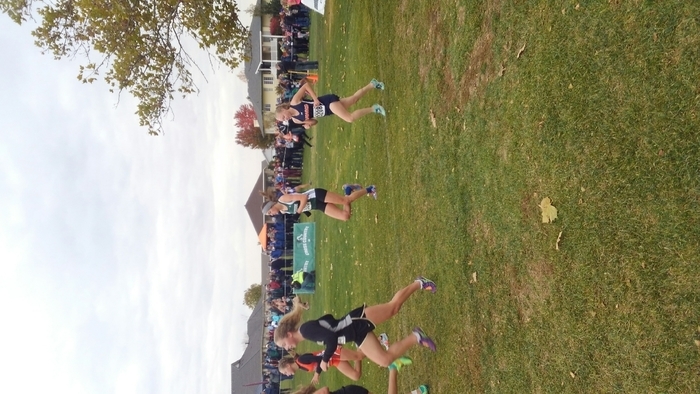 CPHS and Sager XC had great performances at the Cle-Elum Meet yesterday! Results have been posted to Athletic.net. You can access team scores and individual results. Way to go Hawks and Raiders! Sept. 21- Tonight is the Annual CPHS Homecoming Football game! Gate opens at 5:30pm! Come out and cheer on the Hawks as they take on Ki-Be in an SCAC battle! Homecoming festivities will take place at halftime, good luck Hawks! The CPHS JV Football game on 9/24/18 has been cancelled @ Kiona-Benton. Final 7-40 Hawks fall to Connell. Hawks trail Connell 0-40 starting the 4th quarter. Hawks trail 0-34 v. Connell at the half. The end of the first quarter play Hawks trail Connell 0-20. Hawks cheer is ready to go! Hawks football getting ready to take on Connell. 30 minutes to kickoff! Good luck CPHS! Hawks Football travels to Connell tonight to take on the Eagles at 7:00pm. This is the first conference action of the season. You can tune in to KGDC 102.3 FM to follow the Hawks on the road. You can also stream the radio live using the link on the CPPS Athletics Website. Good Luck to the Hawks and Sager XC Runners today! They are competing in the Catherine Creek Invitational in Union Oregon! Good luck runners, you can find results on Athletic.net! GO HAWKS! GO RAIDERS! First XC Meet of the season tomorrow 9/8/18. 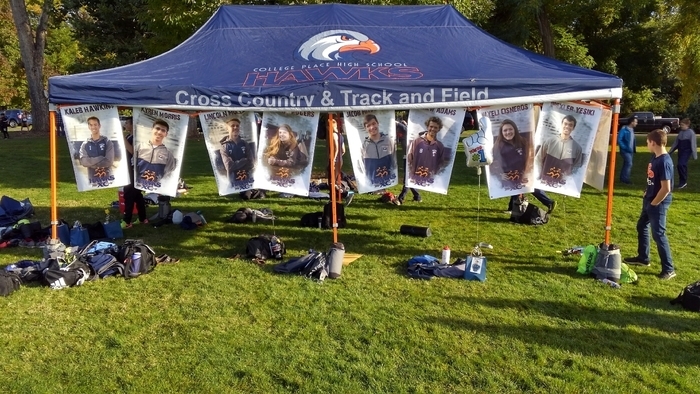 Hawks and Raiders XC travel to Sandstone MS in Hermiston, OR to compete in the Runner Soul XC Fest. First Race begins at 10AM. Good Luck Hawks and Raiders! You can go to Athletic.net to view results after the races. 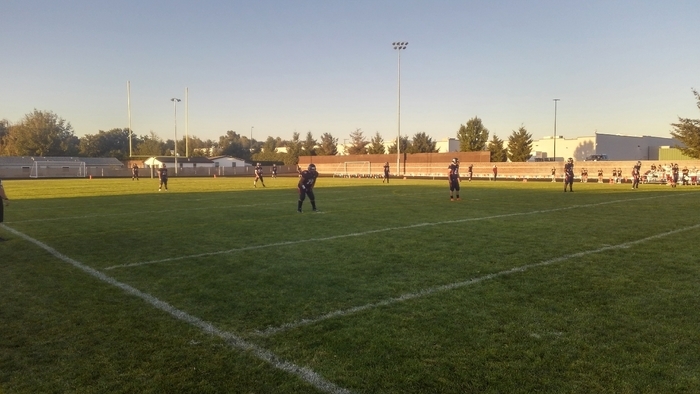 Hawks Football takes on Cle-Elum tonight at CPHS. Game time 7:00pm. Come out and support the Hawks, be sure to purchase one of our Famous Boosters Burgers from the Concession Stand while you are here, and buy a raffle ticket with a chance to win Seahawks Ticket Package! Go Hawks! 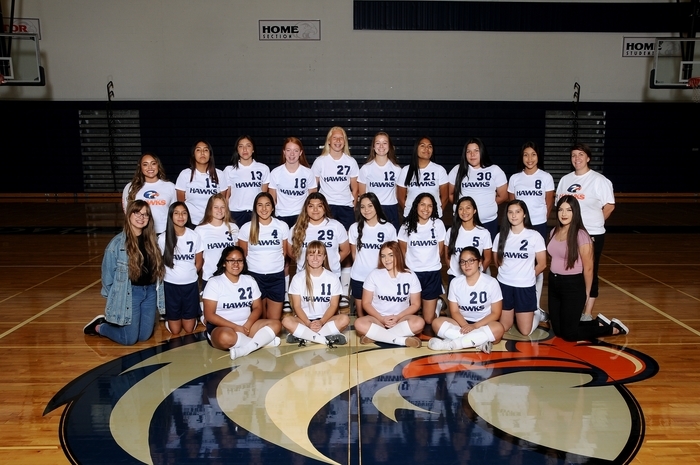 9/6/18 - Tonight is the Hawks Volleyball and Girls Soccer Teams first home games v. Royal City. Come out and support the Hawks! 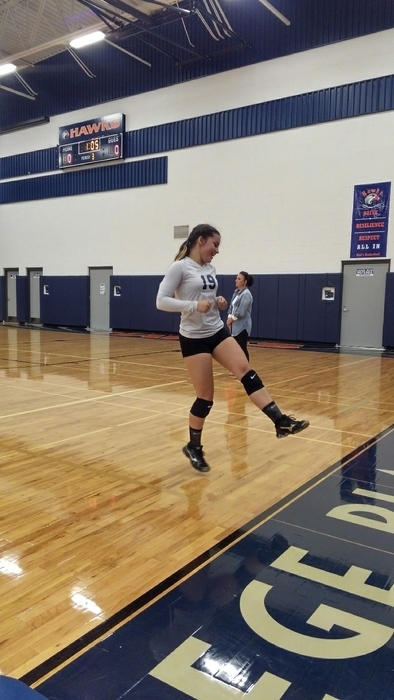 Volleyball: C-Team 5:30pm Sager Gym, JV 5:30pm CPHS Gym, Varsity 6:30pm CPHS Gym. Girls Soccer 6:00pm at Hawks Stadium. Good Luck Hawks! Hawks defeat Mac-Hi 3-1 for their first win of the season and get set to take on DeSales in just a few minutes! Go Hawks! Scores- 25-16, 23-25, 27-25, 25-23. Hawks Volleyball taking on Mac-Hi in game 3 with the match tied 1-1. Go Hawks! Hawks ready for the first Friday Night Football game of the season versus Highland. Good luck Hawks! First CPHS home football game of the season is tonight 8/31/18 v. Highland. Come out for some Friday Night Lights and opening season action! Game starts at 7:00pm! GO HAWKS! First CPHS Girls Soccer action of the season is today! Hawks will play in the Wa-Hi Jamboree at Walla Walla High School. We play Isenhower at 4:30pm, followed by Wa-Hi at 5:00pm. 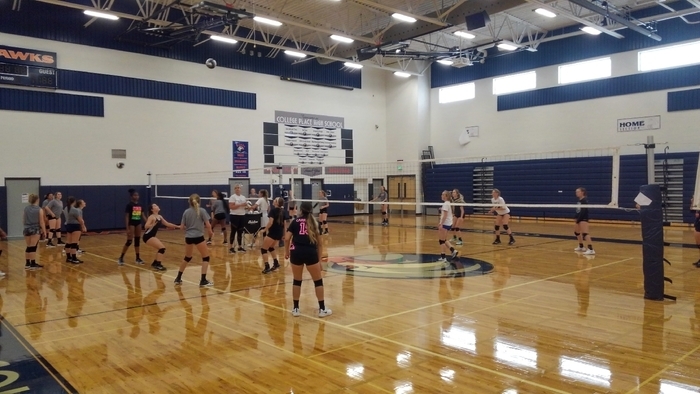 Hawks Volleyball working hard and getting better! Way to go ladies! Sager football getting work in today! Go Raiders! Come to Mac-Hi tomorrow to see the Hawks Football team play in the Jamboree starting at 11am. Go Hawks! 8-23-18 Today's sports practices for CPHS and Sager will be indoors due to poor air quality. See schedule in the online news feed on the athletics page. Hawks FB taking advantage of the summer shine today, out getting better! 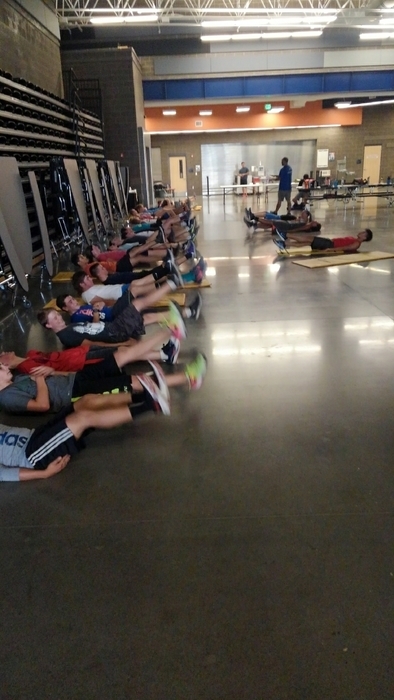 Hawks XC getting after it on Day 2 of Fall Sports! Go Hawks! 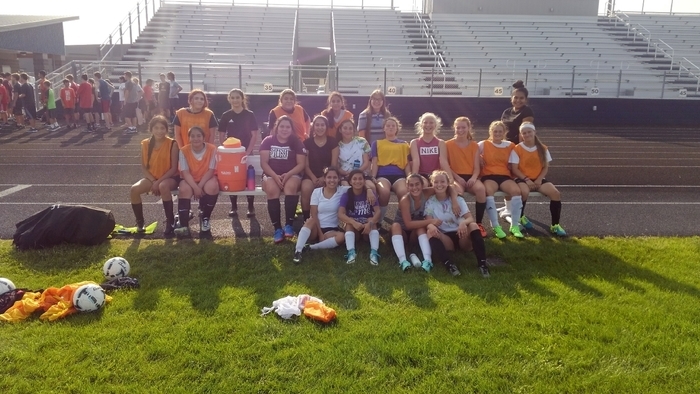 Hawks Girls Soccer happy to be outside for day 2 of Fall Sports. Great to have a break from the smoke! Hawks XC making the best of day one indoor practices due to all the smoke. Go Hawks! AIR QUALITY ALERT, INDOOR PRACTICE SCHEDULES- 8/20/18- HS VB 4-6pm CPHS GYM, HS Girls Soccer 4-6pm Commons, HS & Sager XC 3:30-5:30 Sager MPR, HS Football 4-6:15pm Room 237, Sager 7/8th VB 3:15-5:15 Sager Gym, Sager FB 3:15-5:30 Commons. More info on CPPS Athletic News Feed. The following CPHS and Sager Fall Practices start on Monday 8/20. CPHS- Girls Soccer, Volleyball, Cross Country. Sager- Football, Volleyball, Cross Country. To see more info about start times visit the cpps.org/o/athletics site and check the news feed! GO HAWKS AND RAIDERS! Reminder- CPHS/Sager Cross Country Parent and Player Meeting is Friday, August 17 at 6:00pm in the CPHS Commons. Football Parent meeting is tonight 8/16/18 at 6:00pm in the CPHS Commons. All CPHS Players and Parents please attend. First day of CPHS Football Practice is tomorrow August 15 @ 8:00 AM at CPHS. If you plan to play football for the Hawks make sure you are there on time tomorrow! Questions? Email Coach Ponds at dponds@cpps.org. GO HAWKS. Important CPHS Volleyball Information- Tonight 8/14/18 is the CPHS Volleyball Mandatory Player/Parent Meeting for all athletes trying out for Volleyball. The meeting is in CPHS Room 236 and starts promptly at 7:00 pm. See you there! 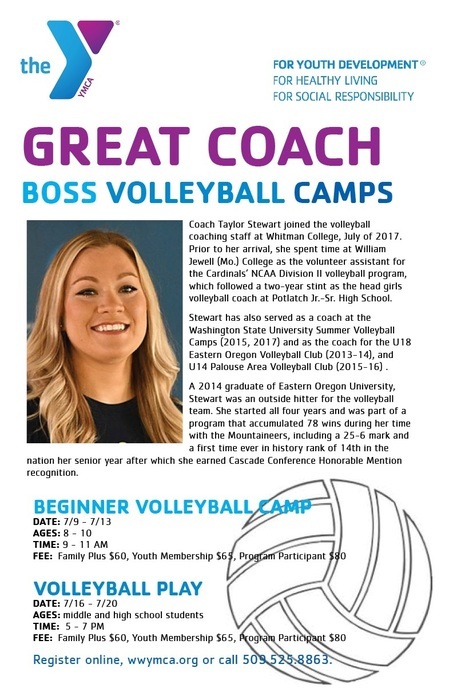 Volleyball camp opportunity with the YMCA. See the attached flier or go to cpps.org Athletics news feed for more information! Hawks Football/Boys Basketball Fundraiser Rummage Sale in the CPHS Stadium Parking Lot from 7am-Noon, June 2&3. It is donation based-furniture, tools, bikes, clothing, toys, home decor, and more! Hawks Baseball Players set to play in High School Showcase v. the Walla Walla Sweets at 6:35pm, Borleske Stadium. Good luck Hawks, more info at wallawallasweets.com and on our Athletics news page. Kobe Morris has been chosen to play in tonight's All-State Feeder Game for B, 1A, and 2A in the South Central Region. The game will be tonight, 5:00 pm @ East Valley High School. Good Luck Kobe! 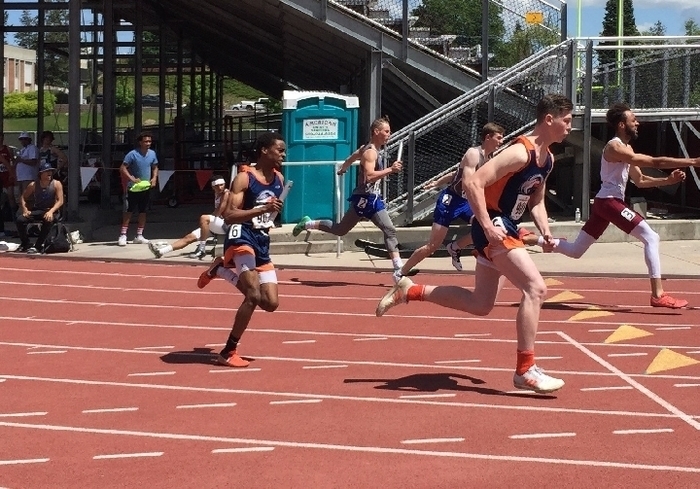 You can follow Hawks State Track today and tomorrow by visiting wiaa.com, the NFHS Network online, and Coach Lackey will be adding results postings on the Live Feed to the CPPS App and Facebook Page! ​Reminder the FREE Sports Physicals Roundup is today 5/22/18 at Wa-Hi from 3-7 PM in the Big Gym. This is a great opportunity, physicals are good for 2 years, and this is a huge savings!!!!!!!! Hawks now lead 6-5 Freeman threatening man 2nd one out. Hawks lead 6-2 entering the bottom of the seventh inning need three more outs to advance to the Final Four. GO HAWKS! Entering the 7th inning Hawks still lead 6-2. GO HAWKS! Hawks get two more in the top of the sixth and are still batting lead is 6 to 2. Freeman gets one run back Hawks now lead 4-2 entering the top of the sixth inning. Hawks Baseball leading 4-1 as we enter the 5th inning, keep it going boys! Softball final score 5-12 Hawks fall to Connell. Great job this season ladies we are proud of you! Go Hawks. Hawks baseball gets another run to force a pitching change from Freeman now lead 4-1 with two outs in the top of the fourth. Hawks softball last chance at the plate down 4-12. Rally time! Hawks Baseball with a big inning geta 2 runs in the top of the third to lead Freeman 3-1. Talk softball Trails Connell 4 to 10 in the top of the sixth inning. Hawks baseball manufactures a run in the top of the second to tie the game 1-1. Hawks softball now trails Connell 4-9. End of the 4th Hawks softball trails 4-7. After the first inning of play Hawks baseball trails 0-1 to Freeman. Hawks Softball now tied 3-3 with Connell. Hawks answer in the bottom of the first and get two runs now lead Connell 2-1. Hawks Softball down 0-1 early in theirs inning to Connell. Hawks softball set to start game 2 they are the home team. Winner of this game earns a State birth. Go Hawks! Tennis update- Alyssa Shenefield is eliminated from Singles, great competitor and a great season! Softball-end of the 5th Hawks lead 11-6. Keep it up ladies! Baseball Final- Hawks win 2-1 to advance will play again later today, stay tuned for more live feed updates. Hawks baseball needs three outs in the top of the seventh to secure the victory. Here we go! Tennis update Emily Knight and Bow Maiden with a great effort in doubles districts bug have been eliminated way to represent Hawks! Hawks softball has big inning now lead 11-6! Baseball still leads 2-1 bottom of the 6th. Hawks softball now clinging to a 7-6 lead after four innings. Hawks softball now leads 7-3 in the bottom of the fourth and baseball remains 2-1 Hawks entering the 5th. Softball update- Hawks now lead 6-3 after Naches get some runs back. End of the 3rd inning. Hawks softball takes 6-0 lead in the bottom of the third inning. Baseball remains 2-1 Hawks middle of the 3rd. Hawk softball leads 2-0 after two complete innings and Hawks baseball leads to 2-1 entering the Third. Softball- Hawks lead Naches 2-0 in the bottom of ghe2nd inning. Baseball- Hawks answer with 2 runs in he bottom of the first to take the lead 2-1. Stay tuned for live feed updates from the Hawks softball game this morning, they play an elimination game v. Naches at 10am. Tune in to KGDC2 102.3 FM to follow Hawks Baseball on the radio starting at 10am vs Okanogan in the regional round of State! I will update live feed as well. Tennis update- Bow and Emily beat #1 doubles Connell team and advance to play again tomorrow! Alyssa Shenefield drops singles match, will play again today. Tennis update- Bow Maiden and Emily Knight lose their first match, now face Connell in doubles. Good luck to the Boys and Girls CPHS Track Teams! They both travel to Royal today to compete in the District Championship. I will post live updates from the meet later today, starting around 3:30pm! Good Luck at Districts Hawks Tennis Players! I will be sending out some live feed updates later in the day as we get more information from Connell. GO HAWKS! Final score Hawks fall to Zillah 7-12. Will play at 10am this Saturday at West Valley HS in a loser out game. Good luck ladies. Hawks trail 7-12 after a big inning by Zillah. Need a huge top of the 7th to come back. Congrats to Lindsey Maiuri for being the first ever CP Golfer to go to districts! She fought hard today and represented the Hawks. Full scores tomorrow. Hawks and Leopards knotted at 7-7 going into the 6th inning. Zillah answers now Hawks lead 7-6 in the top of the 5th. Hawks get one more, now lead 7-2 starting the bottom of the 4th. Leopards get one back score is now 6-2 Hawks in the top of the 4th. Hawks claw out 5 runs in the top of the 3rd and lead 6-1. Go Hawks! Hawks and Leopards are tied 1-1 after the first inning of play. First game of the softball district tournament has just begun. Hawks take an early 1-0 lead v. Zillah. More updates to come. Softball takes on Zillah today in the first round of the District Playoffs today, the site is ZILLAH MIDDLE SCHOOL FIELD. GOOD LUCK HAWKS! I will be doing live feed updates from the game! Good Luck to Hawks Golfer Linsey Maiuri today as she competes in the Girls District Golf Tournament! We should have results posted later today. Go Hawks! Tennis update: Cameron Howard and Greg Hatch took fifth place in doubles! Tennis Update- Bow Maiden and Emily Knight take 3rd place in Girls Doubles!!!!!!!! Tennis Update- Eric Kuznetzov and Trinity Pierce each earn 5th place in singles, way to represent Hawks! Tennis Update- Bow Maiden and Emily Knight are guaranteed to move on to districts this weekend in Doubles, and Alyssa Shenefield will move on in Singles! Way to go Hawks! Tennis Update- Bow Maiden and Emily Knight win their Sub-District Doubles match and move on to play for 3rd/4th place! Way to go Hawks! Good Luck Ladies! Good luck Hawks Tennis! They compete today in Connell for a chance to move one to Districts! Check back later for live feed updates! Final score 0-8 lose. Hawks take 2nd place in the district tourney and move on to play next Saturday at Ferris. Tennis update: Alyssa Shenefield wins and will play Monday for championship!! Entering the seventh inning the Hawks Trail 0 to 8. Ki-Be defeated Connell to take 3rd place in district. Middle of the sixth inning hawks still Trail 0 to 4. Starting the 5th inning Hawks trail Naches at 0 to 3. After the top of the third inning the Hawks still trail 0 to 3. Bottom of the first inning of play, Hawks trail Naches 0-3. Tennis update- Bow Maiden and Emily Knight win and move to top four! Tennis update- Eric Kuznetzov wins and goes to top four! 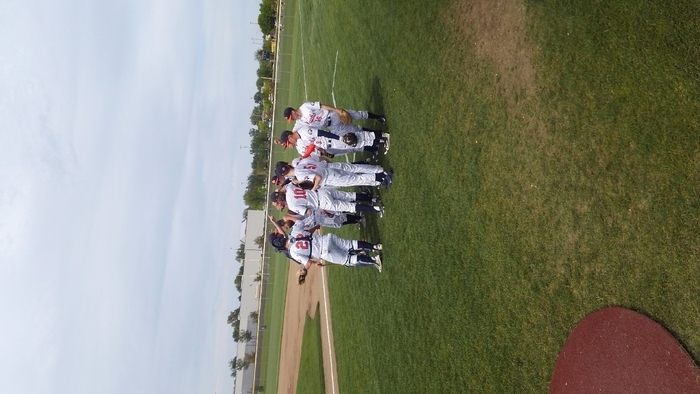 Baseball update: Connell defeats zillah 6-4. KiBe over Royal 2-1 in extra inning. Hawks start championship in 25 minutes. Tennis update- Doubles team Janne A and Rachel S go on to top 8. Way to go Hawks! Tennis update- Samanta V and Ashelly C won and proceed to top 8! Cameron H and Greg H win and proceed to top 8! Tennis update- Bow Maiden and Emily Knight win first doubles match and advance to the top 8! Good Luck today Hawks Tennis! They travel to Connell High School today to compete in the Sub-District SCAC East Tournament! First Matches Start at 10:00 AM! Go Hawks! Bracket on scacconference.org. Hawks win 19-0. Advance to play in he district championship tomorrow at Connell 1:00pm. Great job boys! Hawks now lead 17-0 in the bottom of the 4th. End of the third inning Hawks lead 12 to 0. Hawks are stringing some runs together in the bottom of the 3rd, now lead 10-0. Hawks get 5 runs in the bottom of the 2nd inning to lead 5-0 over the Bears. Baseball update: after one complete inning of play score remains tied at zero. Beautiful day for a baseball game! Come watch the Hawks take on Ki-Be at 4 pm, round 2 of district playoffs. Good luck Hawks! 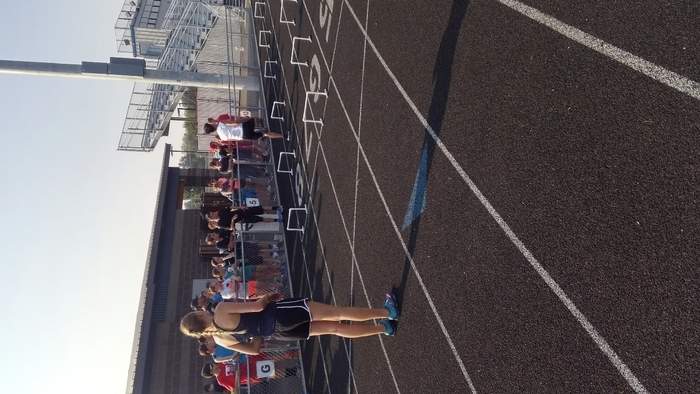 Hawks Track and Field Athletes put on a show while hosting SCAC East Sub-District Track Meet yesterday at CPHS. For full meet results visit athletic.net or the cpps.org athletic site for links. Congratulations to Sasha Ferraro for being named SCAC East Girls Tennis Coach of the Year! Her effort and dedication has built our Tennis Teams into something special in just two seasons! 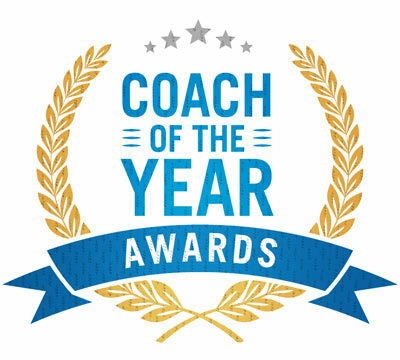 Congratulations to the following coaches: Jason Grove was named SCAC East Coach of the Year for Baseball! Ryan Lackey has been named SCAC East Coach of the Year for Boys Track! CPHS Hosts the SCAC East Sub-District Track Meet today. Field events open at 3:30, running events 4:30 pm. Come out and cheer on our Hawk Athletes! Concessions will be provided by the CP Boosters. Good Luck Hawks Boys Golfers! Today they travel to Desert Aire Golf Course to compete in the Sub-District SCAC East Tournament with a chance to advance to Districts next week! Go Hawks! Final Hawks 10-1 win over warden, play at home again this Friday at 4pm. Great job Hawks! Hawks extend the lead 9-1 entering the top of the 6th. Warden gets a run on the board and the Hawks lead is now 5 to 1 in the top of the fifth inning. Hawks strike first in the bottom of the third with five runs now lead Warden 5-0. Two innings complete and the Hawks and Warden remain tied at zero. After the first inning the score is tied 0-0. Hawks baseball ready to take the field for the first round of district baseball today at home. Stay tuned for live feed scoring updates! Go Hawks! Come see the Hawks Baseball Team take on Warden today in the first round of the District Baseball Tournament! Game is at home, 4:00 pm start time, tickets available at the gate! 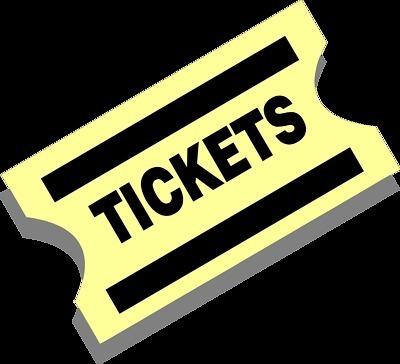 Ticket Prices for District Baseball Games: Adults $5, Seniors $4, Student with ASB $4.00, Preschool Age Kids Free. Staff ID/coaches cards not honored for district events. Game starts 4:00pm today! Good luck to the CPHS Boys Soccer Team, they travel to LaSalle today to take on the Lightning, 6pm at Marquette Stadium in Yakima. First round of District play, loser out. GOOD LUCK HAWKS! 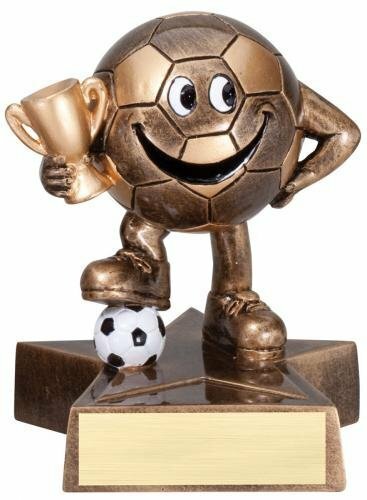 6 Hawk Soccer Players earn All League SCAC East Awards- 1st Team- Jorge Garcia, Axel Kehrein, Allen Escalante. 2nd Team- Jesus Moreno, Hector Diaz. 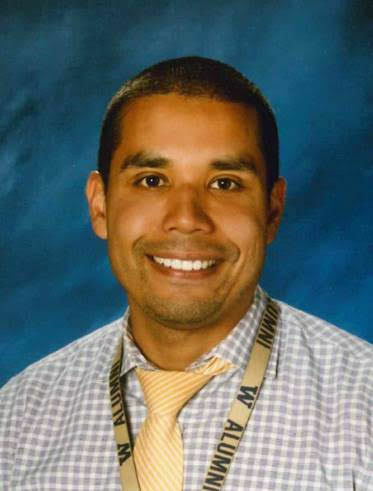 Honorable Mention- Miguel Moreno. Way to go HAWKS! 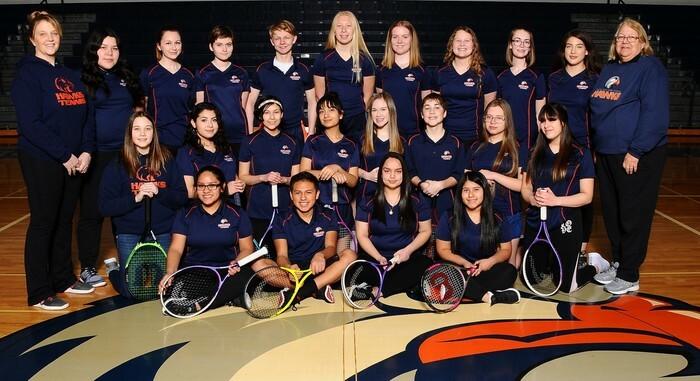 Today our Tennis Teams take on Wahluke HS starting at 3:30 pm here at home! Come celebrate our seniors for their first ever Hawks Senior Recognition for Tennis! Hawks hold on to complete the victory 2-1! They win their first ever SCAC East regular season title! Way to go boys! Hawks get one run in the top of the seventh to take the lead to 2-1! Need 3 more outs to lock down the win. 6 Innings complete score remains tied 1-1 Hawks coming to the plate in the top of the 7th. Correction baseball game is still in the top of the fifth inning hawks just tied the score 1-1. Hawks tennis fought hard today at Connell. Girls finish league in 2nd place, boys finish 4th! Way to go Hawks! Entering the 6th inning Hawks trail 0-1. 3 Innings complete Connell takes the lead 1-0. After two innings complete Hawks and Eagles remain tied 0-0. After the first inning of game 2 the Hawks and Connell are tied at 0. Hawks lose game 1 on a walk off RBI single by Connell. Game 2 updates coming in about 20 minutes. Score still tied 1-1 after the top of the seventh. Connell comes to the plate in the bottom of the inning. Hawks coming to the plate in the top of the seventh score remains tied 1-1. After five complete Innings of play Hawks and Connell are still tied 1-1. Middle of fifth inning score remains tied 1-1. After the top of the 4th inning Hawks tie it up 1-1. After the top of the second inning the Hawks trail Connell 0-1. Hawks baseball double header just started v. Connell. Hawks have a chance to lock up 1st place in SCAC East. Stay tuned for updates! CPHS Boys Soccer celebrates thier first ever Senior Night prior to tonight Game v. Wahluke at home. Senior Recognition will begin prior to the 6:00pm game time. Thank you Hawk Seniors! Reminder- CPHS Football Meeting tonight 4/30/18 at 6:00 pm in the CPHS Commons for all interested players and parents grades 8-11. If unable to attend please email Coach Ponds dponds@cpps.org . In the 5th inning Hawks softball leads 9-3, baseball leads 6-3. Baseball takes the lead 3-0 in the 1st inning of game 2. Softball starting game 2 soon. Hawks softball with the walk off off Victory 10 to 9 in the 11th! Softball still tied 9-9 entering the top of the 11th. Baseball defeats Royal 12 to 4 in game 1. Softball remains tied 9 to 9 in the top of the ninth inning. After 6 Innings softball is tied 9-9 and baseball leads 11-4. Middle of the fifth inning Hawks softball trails at 9 to 7 and baseball leads 8 to 4. After three innings Hawks softball leads 6-5 and baseball leads 5-3 over Royal. Hawks softball and baseball teams take on Royal today starting at 11 a.m. After game one we will recognize our Hawk Seniors. Come out and Cheer them on! Boys soccer defeats Warden tonight 5-2. This lines up an important home game v. Wahluke on Tuesday at home 6pm. Come out and support Hawks soccer! ​Kenneth Rooks has been named a Finalist for both Scholar Athlete of the Year and Male Athlete of the Year for the Union Bulletin! Congratulations Kenneth! Congratulations to Matt McKenzie for being named Union Bulletin Athlete of the Week! McKenzie knocked in 4 runs on 7 hits in the Hawks’ 16-9 and 15-3 victories over Ki-Be. 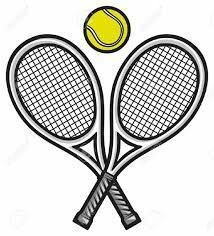 4/27/18 - Tennis Location Change- The CPHS Tennis Boys and Girls Match Today v. Wa-Hi has been move from WWCC to Walla Walla High School Tennis Courts, start time 3:30 PM. Hawks Tennis is currently taking on Royal at the CPHS tennis courts. Sager softball is hosting Touchet at the CPHS softball field today. Good luck! Please stop by Big Cheese Pizza today 4/25/18 and buy Medium Pizza's! Every Purchase today helps support the College Place Booster Club! 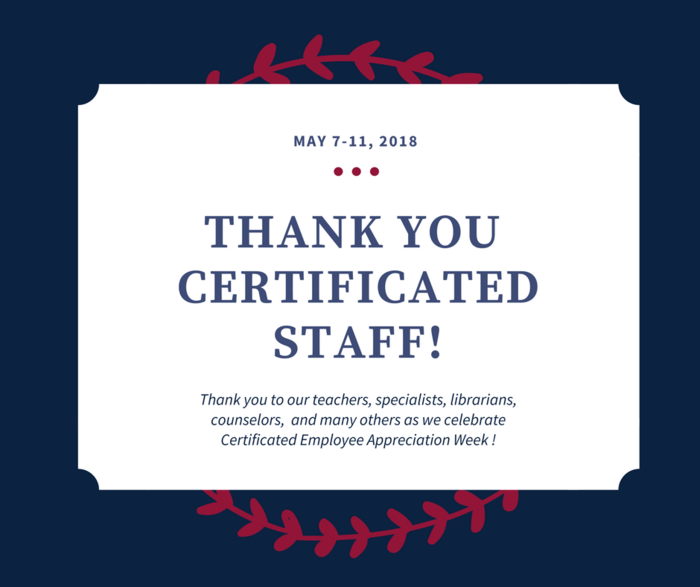 We appreciate your help and support! Sager Softball @ McFarland MS (in Othello) is CANCELLED today 4/25/18 and will not practice. BASEBALL will still travel to play in Othello today. Come support our athletes today at CPHS. Softball and Baseball play DH's starting at 3pm v. LaSalle. Boys Soccer takes on Royal, JV 4:30 followed by Varsity. Congratulations to CPHS Soccer Goal Keeper Jorge Garcia. He was named Washington State Max Preps Player of the Week for April 9-15 for his great performances. Congratulations Jorge! 4/16/18 Tonights Football Parent/Player Meeting for CPHS has been cancelled. It will be rescheduled for a later date to be announced. 4/16/18 - Today's Tennis Match v. Wa-Hi at WWCC has been cancelled due to inclement weather. Makeup date TBA. Congratulations Kenneth Rooks! 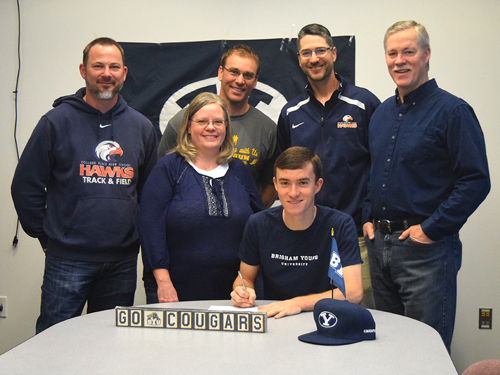 This morning he signed his National Letter of Intent to run Cross Country at Brigham Young University! His hard work, dedication, and determination are paying off! Boys Soccers defeats Warden 8-0 for another League Win. Come see the Hawks Boys Soccer Team at home as they take on Warden. Game starts 6:00pm. Good luck Hawks! 4/7/18- Today's track meet at Mac-Hi has been cancelled due to weather conditions. Come out and see the Hawks Track Team tomorrow April 7th at Mac-Hi in Milton-Freewater as they compete in the Carnival of Speed Invitational! Meet kicks off at 10:00 AM. GOOD LUCK HAWKS! 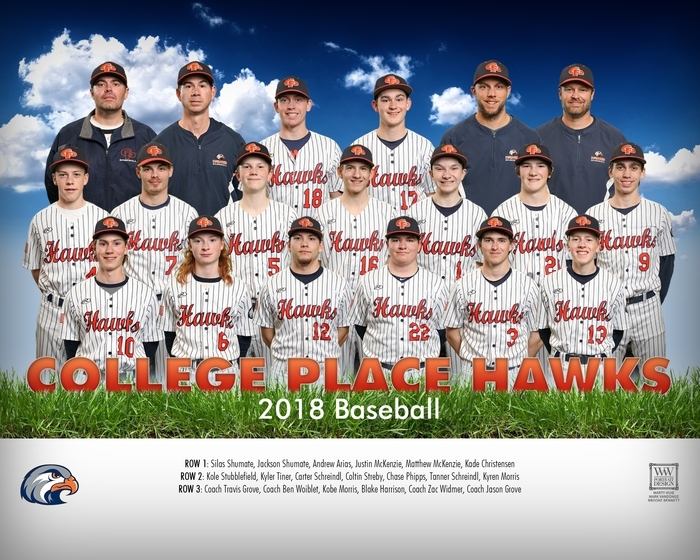 Come out and support the Hawks baseball and softball today as they take on the wahluke Warriors first games just started at 3 p.m.
Hawks boys soccer defeats the Bush Blazers 6-0. 3/22/18: Cancelled- Sager Baseball v. Touchet - PRACTICE indoors in the Sager MPR after school. Cancelled- Sager Softball v. Touchet - PRACTICE indoors at Davis Elementary School Gym. Hawks baseball comes from behind in game 2 to win 7-6 Warden. Softball trails 5-6 late in game 2. Baseball Trails 3 to 6 after the top of the fifth. Softball Trails 4-6 in the top of the 4th. Baseball Trails 2 to 6 in the bottom of the fourth inning. Softball Trails 2 to 5 in the bottom of the Third. In game 2 versus Warden baseball trails 1-6 entering the third inning, and softball is tied 2-2. Hawks baseball Wins Game one 7-1, softball falls 5-15. Game 2 of each double header starts soon! Hawks baseball lead 7-1 in the top of the seventh. Softball trails 4-10 in the 5th. Entering the sixth inning Hawks baseball lead 6-0. Hawks softball fights back and trails 4-5 in the top of the fourth..
Hawks baseball leads 5-0 after four innings. Softball Trails 125 and ring the bottom of the third inning. Hawks baseball leads Warden 3-0 entering the bottom of the 3rd. Softball is tied 1-1 in the second inning. Hawks Soccer defeats Naches 4-0 to pick up their 2nd non-league win this season and improve to 2-1 overall! Hawks Soccer leads 2-0 early in the first half over Naches with goals from Brandon Stapleton and Misael Saldana! 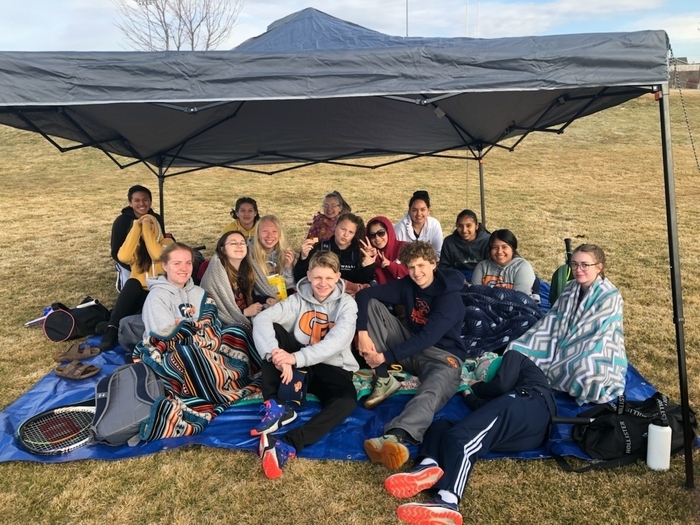 Go to Athletic.net to view individual results from yesterday's Windbreaker Invitational Track Meet in Wahluke. Hawks Boys and Girls Teams both placed 2nd overall in team scores! Way to go Hawks! 3/17/18 Today's CPHS Softball and Baseball Games v. Warden have been cancelled for rain and poor field conditions. Both Doubleheaders have been rescheduled for Tuesday 3/20 starting at 2:00 PM. 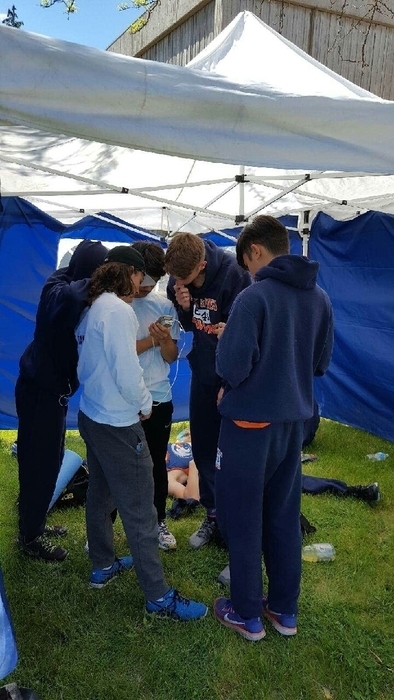 Good luck to the Hawks Track Team, they travel to Wahluke High School in Mattawa, WA today to compete in their first meet of the season at 3:30 pm! Go Hawks! Hawks tennis plays their first match of the year at home today at 3:30 p.m. Hawks boys soccer play tonight at home 6 p.m.. Go Hawks! Congratulations to Silas Shumate! This morning he signed his National Letter of Intent to play Baseball next year at the College of Idaho in Caldwell. His hard work and determination is paying off! Reminder- There is a CPHS Spring Sports Parent/Player Meeting (excluding Golf Team) tonight 3/5 at 5:30 pm. We will start in the Sager Gym and then break out into classrooms by sport. Congratulations to the CPHS Winter Cheer Team! They earned the WIAA 1A Academic State Championship for a team average 3.866 GPA! This is the First Academic State Championship in Hawks History! 1st Day of CPHS Spring Sports Practices are Mon, Feb. 26. Schedules are on CPPS.org Athletics Page, CPHS Facebook, and listed at CPHS. Make sure students are registered and cleared to participate! 2/16- Today is the last day to sign up for the Hawks Baseball/Softball Kids Camp. Registration Packets are due at the high school office by 3 pm. You can download a form on the Athletics News Site. Fliers have been sent home with students age 9-14 for our Hawks Baseball/Softball Skills Camp! Be sure to turn in your registration by Feb. 16, more info is available on the Athletics News Site! Congratulation to our Hawks Wrestler Kole Stubblefield! 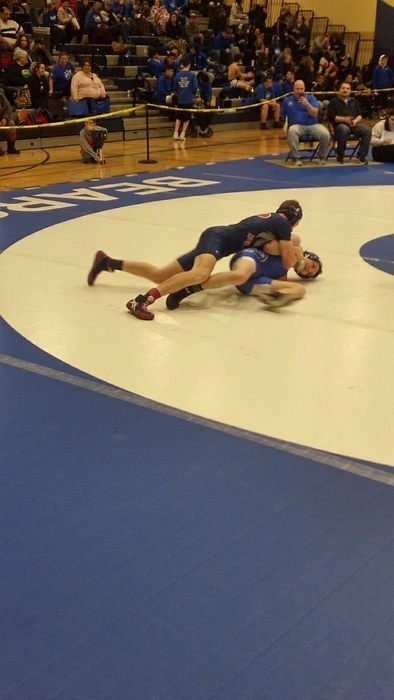 He recently placed 6th in the 113 Lb division at the Regional 1A Wrestling Tourney in Castle Rock. Way to go Kole! Congratulations Hawks Wrestlers. 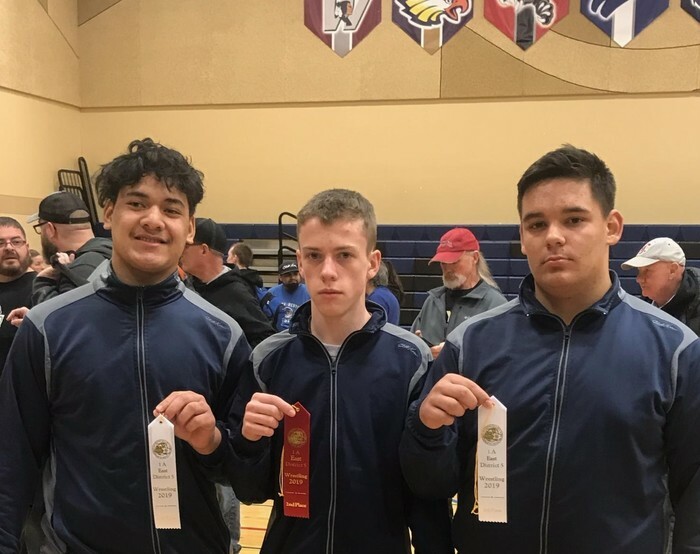 3 boys will advance to the Regional Wrestling Tournament next Saturday. Go Hawks! Tonight during the Hawks home basketball games and senior night The Culinary Club will host a potato bar feed from 5-8pm in the Commons! Good luck to our CPHS Boys Wrestlers Tomorrow! 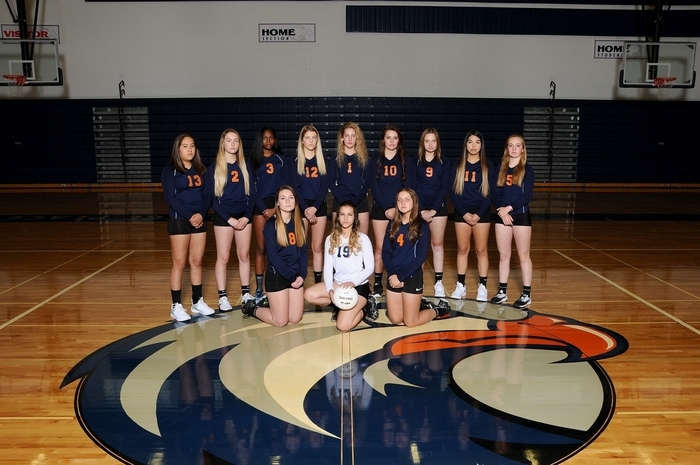 They travel to Royal HS to compete in the District Tournament at 10 AM with a chance to advance to Regionals for the first time in Hawks History! 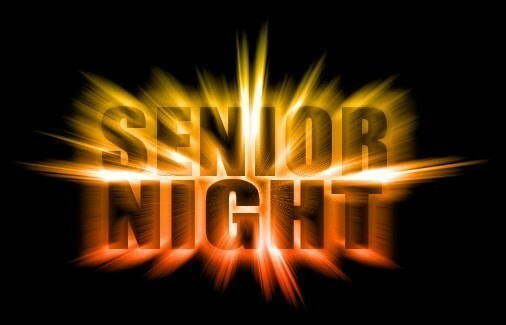 Tomorrow Feb. 2 is CPHS 1st Annual Senior Recognition Night for Basketball Teams! Girls Honors will start before 6:00 PM, and Boys approx 7:30. Hawks take on Warden for the last games of the season! 1/30/18- Tonights CPHS Girls C-Team Game at Royal is cancelled. ALL OTHER GAMES WILL BE PLAYED AS SCHEDULED. There will be no Girls C-team game at College Place High School tonight all other games will be played as scheduled. Come tonight and support the Hawks Basketball Teams as they take on Riverview at home! Girls Varsity at 6:00 followed by Boys Varsity at 7:30. You can also tune in to KGDC2 102.3 FM or stream online! Tonight 1/25 at 6:00 PM the CPHS Wrestling Team hosts a Double Dual Meet with Highland, Ki-Be, and Naches in the CPHS Gym. Entry for the event is FREE! Come support the Hawks Wrestlers! Schedule Update- Tonight's Sager Girls 7/8th Grade Basketball game at Touchet will start with a B/C Combo Team playing at 4pm, followed by the A Team. Hawks Boys and Girls Basketball travel to Warden tonight and Col-Burbank Saturday. Be sure to tune in the KGDC2 102.3 FM or go to khssradio.com to listen to the games. Girls @ 6 PM, Boys 7:30 PM. Jan. 9, 2018: Tonight's Girls C-Team Basketball Game v. Royal has been cancelled due to Royal's lack of players. ALL OTHER GAMES WILL BE PLAYED TONIGHT AS PREVIOUSLY SCHEDULED. Reminder- Sager Girls 6th Grade Basketball Practice Starts Tuesday Jan. 16, 3:15 PM in the Sager MPR. Make sure you have completed all registration in Final Forms and have a current physical on file! Sager Boys/Girls 7/8th Grade Wrestling Practice Starts Monday Jan. 8, 3:45 PM in the Sager Mat Room. Make sure you have completed all registration in Final Forms and have a current physical on file! Hawks Basketball hosts Wahluke tonight @ CPHS. First JV games at 4:30 PM, Girls Varsity 6:00 PM, Boys Varsity 7:30 PM. Go Hawks! Be sure to tune in to KGDC2 102.3 FM tonight to follow the Hawks BB teams @ Riverview. Girls 6 PM, Boys 7:30 PM. Reminder- Sager Girls 7/8th Grade Basketball Practice Starts Monday Jan. 8, 3:15 PM in the Sager Gym. Make sure you have completed all registration in Final Forms and have a current physical on file! 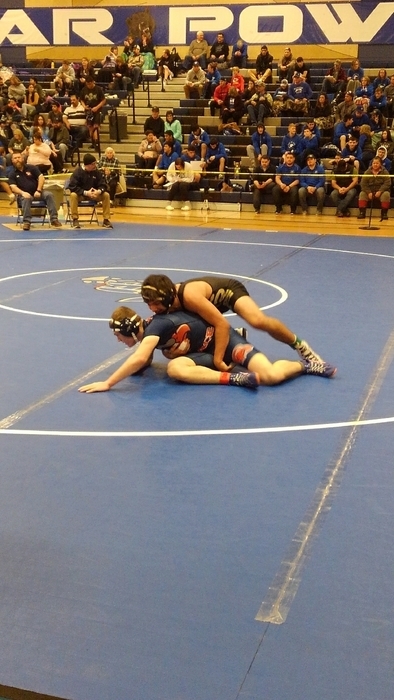 Come out and support the Hawks Wrestlers at CPHS today as they take on Ki-Be at 6:00 PM. This is the first ever home meet for the Hawks! Good luck, and GO HAWKS! Hawks Wrestling will host their first ever dual v. Kiona-Benton on Jan. 4 @ 6:00 PM in the CPHS Gym. Come out and support our Hawks Wrestlers! Lady Hawks Basketball take on University today 3 pm. Hawk Boys take on Ki-Be at 7:30 p.m. both games at Desales High School. Go Hawks! The Hawks Boys and Girls BB Teams take on Desales in the Christmas Classic @ Desales High School starting Dec. 28. Girls @ 3 PM, Boys @ 4:30 PM. Find Dec. 29 Schedule on Hawks Athletics News Page. CPHS wrestlers will not be attending the wrestling meet tomorrow December 27th at Royal City due to a number of I'll wrestlers. CPHS Wrestling Practice has been Cancelled today 12/21 and Friday 12/22. Practice will resume on Tuesday 12/26 from 2-4pm. Come out and Support the Hawks Basketball Team tonight as they take on the Ki-Be Bears at home. Varsity Girls 6pm followed by Varsity Boys! Come support the Hawks Wrestling Team at Mac-Hi. The tournament is already underway! Good luck Hawks! 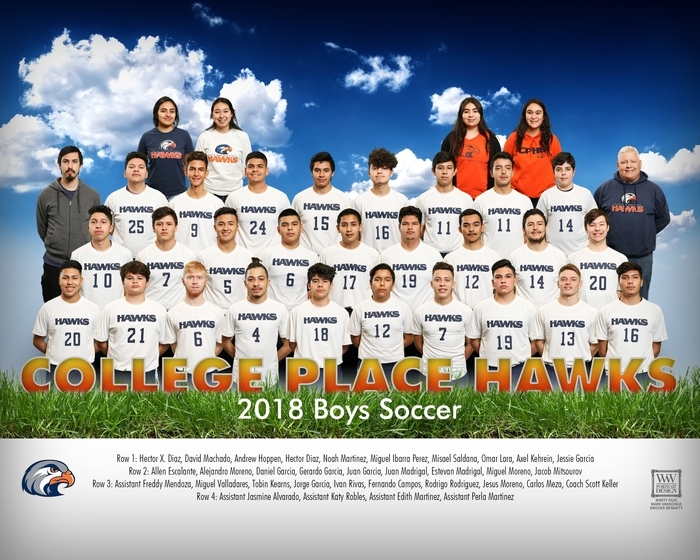 Come out and support the Hawks tonight as they take on Columbia Burbank! Girls Varsity starts at 6 p.m. followed by Boys Varsity! First Home Hawks Varsity Basketball Games of the year are tonight Dec. 12! Watch the Hawks Take on WWVA, Girls Varsity 6:00 PM and Boys at 7:30 PM! Go Hawks! Tune into KGDC2 102.3 PM to listen live! 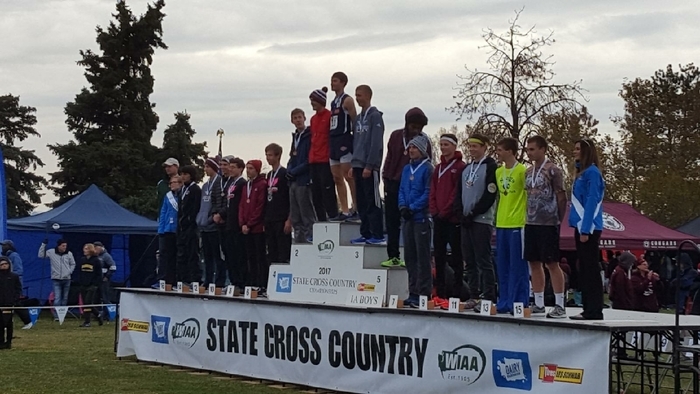 Congratulations to Kenneth Rooks for being named to the Washington State Cross Country Coaches Association ALL STATE CROSS COUNTRY TEAM. 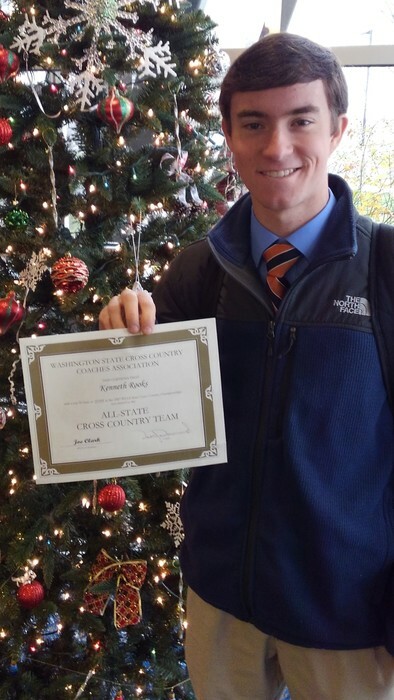 Way to go Kenneth! Game added- Home Game Wednesday, Dec. 6 CPHS Boys JV v. Wa-Hi BOYS 6:00 PM in the Sager Gym. Hawks fall 32-44 to Mac-Hi in the Championship Game. Congratulations to the Pioneers, good effort Hawks! Beginning of the 4th quarter Hawks trail 27-40. Boys Varsity Halftime score Hawks 15 Mac-Hi 30. Hawks Boys Varsity trail Mac-Hi 12-15 at the end of the first quarter. Winner of this game will be tournament champs. GO HAWKS. Lady Hawks win the 3rd place game with a final score of 65-38. Way to go Hawks! End of the 3rd quarter Lady Hawks lead 45-26. Lady Hawks Varsity Basketball leads Mac-Hi 32-14 at the half. Hawk Varsity Girls lead 20-7 over Mac-Hi at the end of the 1st quarter. 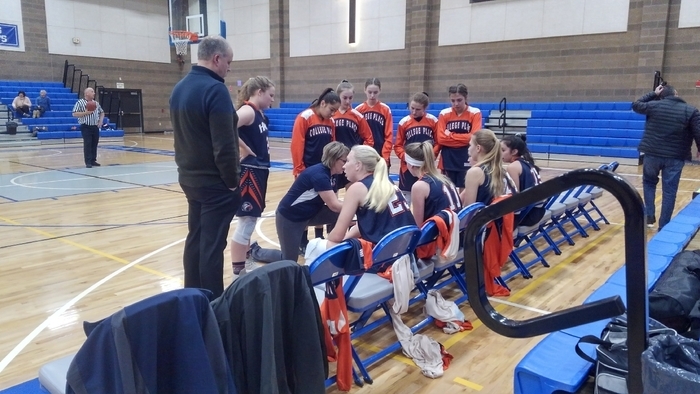 Mac-Hi Basketball Tourney Update- Girls Varsity v. Mac-Hi 12pm, Girls JV v. Mac-Hi 3pm. Boys JV v. Mac-Hi 4:30pm, Boys Varsity v. Mac-Hi 4:30pm. Good luck today Hawks! Boys JV leads Riverside 13-4 at the end of the first quarter. JV Girls Hawks win 27-25, way to go Ladies! Girls JV leads Riverside 27-13 at the end of the 3rd quarter. Lady Hawks JV basketball leads Riverside at half 22-11. Hawk Boys win 60-33 over Riverside. Hawk Boys lead 50-22 with 7 minutes left to play. Hawk Boys lead 27-12 over Riverside at the half. Hawks Boys Varsity update: At the end of the 1st quarter Hawks lead 12-5. Lady Hawks fall to Riverside 29-44. They will play again Saturday 12:00pm. At the end of the third quarter Hawks trail Riverside 21 to 30. Mac-Hi tourney update. Varsity Hawks Girls trail Riverside 11-22 at the half. First CPHS Basketball Games of the season today! Come to Mac-Hi to see our Girls/Boys Varsity/JV in the Mac-Hi Tourney! Girls V- 3:30pm, Boys V- 5:00pm, Girls JV- 6:30pm, Boys JV- 8:00pm. GO HAWKS! Join us at CPHS for the First Annual CPHS Boys Basketball Spaghetti Feed Fundraiser! CPHS Commons, Wednesday Nov. 29 @ 6:00 PM. $5 Per Person or $15 for Families. Funds directly support the Boys Basketball Team! 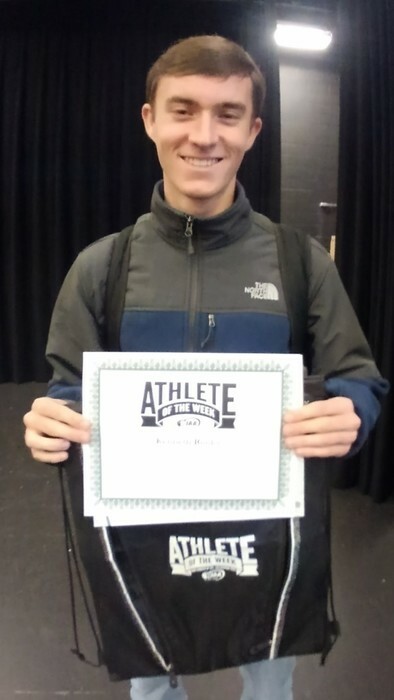 Congratulations to Kenneth Rooks for being WIAA Athlete of the Week for the State of Washington last week for his 2nd State Title in Cross Country! Reminder- There is a parent/player meeting for CPHS Boys and Girls Basketball Players Tonight Nov. 9 at 6:00 PM. Girls Team in Room 237 and Boys Team in Room 219. Parents and Players should attend. Congratulations Kenneth Rooks! 2X XC 1A State Champion! Kenneth Rooks wins the State 1A cross country championship with an unofficial time of 15:19! 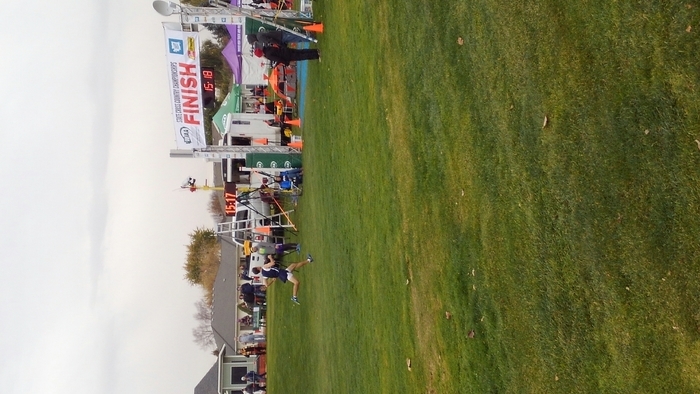 Drew Adams finishes in 17:04! Great job Hawks! Unofficial times for our girls: Melia 21:12 Karissa 22:21. Way to compete ladies! The Cross Country 1A Girls race starts soon! Good luck to Melia Loe and Karissa Stubblefield! 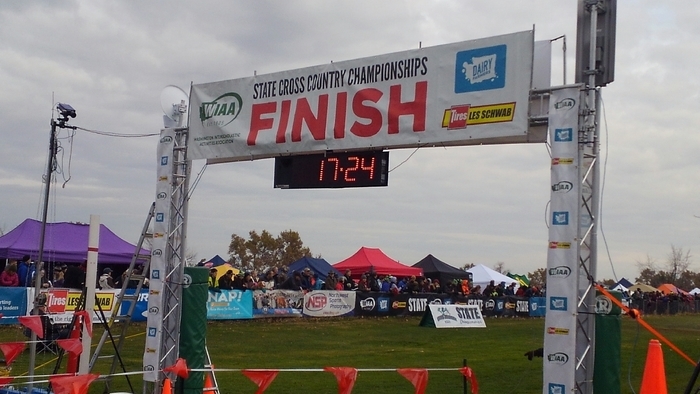 You can follow results at wiaa.com! Last Home Hawks Football Game of the year, tonight 7:00 PM v. Grandview! Come out and support the Hawks! 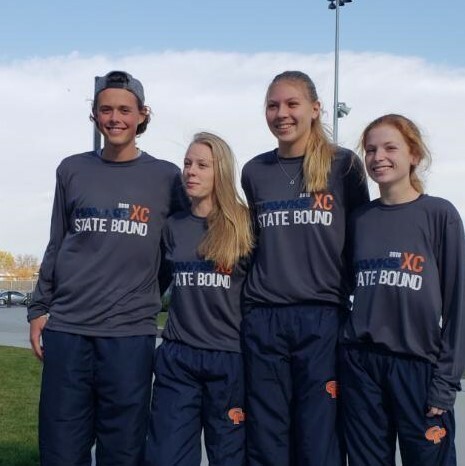 Kenneth Rooks, Karissa Stubblefield, Andrew Adams, and Melia Loe are headed to State Cross Country Saturday in Pasco at Sun Willows Golf Course. Girls Race 10:30 AM Boys Race 12 PM. Good Luck Hawks! Reminder- There is a Wrestling Parent/Player meeting tonight (10/30/17) at CPHS, 6:30PM in Room #237. Please be there with a parent if you are interested in joining in our new program! Come to CPHS Stadium Tonight to see the Hawks Football Homecoming Game v. Columbia-Burbank @ 7pm. Senior Recognition for Cheer and Football start around 6:30pm. Homecoming Ceremonies at half time! Tomorrow during CPHS Lunch there will be an informational meet and greet in Room #236 for CPHS Girls and Boys Wrestling. Come meet our new coach and get info about the upcoming wrestling season! Girls soccer celebrates senior night by getting their first ever League win over Connell 2-1! Way to go Ladies! 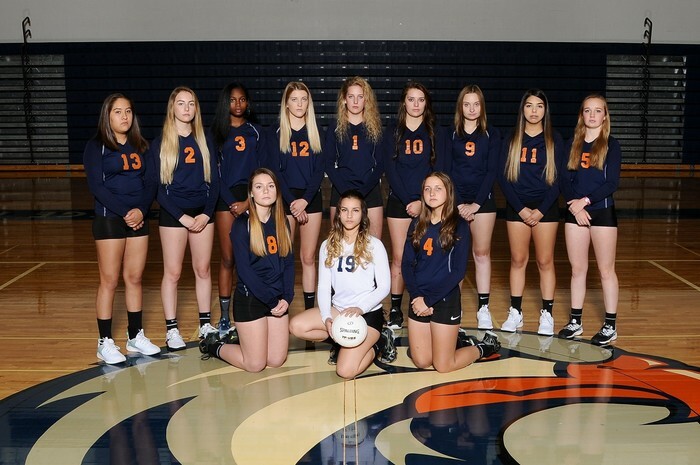 Tomorrow 10/19 We will honor Seniors for Volleyball Approximately 6:30pm and Girls Soccer Approximately 5:40pm prior to their home games v. Connell. Hope to see you there, GO HAWKS! 10/17 CPHS JV Girls Soccer has been Cancelled Today. GIRLS VARSITY SOCCER WILL PLAY AT 4PM @ KIONA-BENTON. 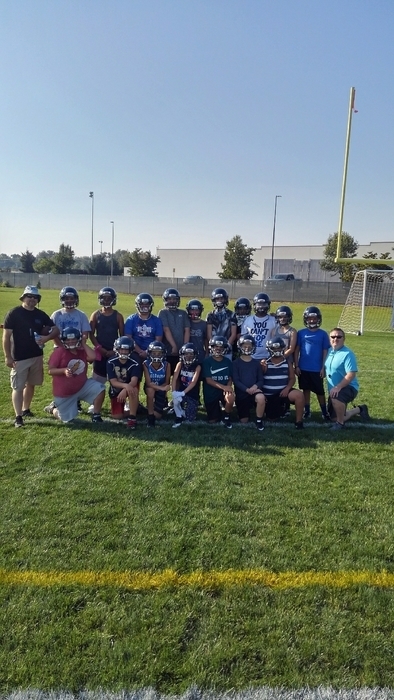 Hawks Friday Night Football v. Ki-Be kicks off tonight at 7pm. If you can't make it be sure to listen on KGDC2 102.3 FM! Great to honor our 7 seniors at home XC meet. Many PRs and great races from the HAWKS. Kenneth Rooks won the men's Race and Meliah Loe placed 3rd for the girls. 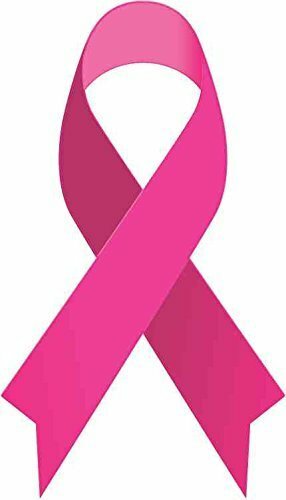 Tonight is Wear Pink Night at the CPHS Home Volleyball Games v. Warden. Wear pink to show you support and raise awareness for the Fight Against Breast Cancer! C/JV Start 5:30. Varsity begins 6:30pm! Game ends for the final score wahluke Warriors 30 College Place Hawks 27. Way to battle Hawks keep improving! Hawks turned over on downs Wahluke takes possession with under a minute to play. Hawks get a big stop on 4th down take over on their own 31-yard line with 4:22 left to play. Go Hawks! Long touchdown strike from Moreno to Taylor Hawks close the gap now Trail 27 to 30. Hawks get a stop on 4th and short take over the ball near the 50-yard line. Warriors cap to drive with a touchdown and 2pt conversion. Hawks now trail 20-30. Wahluke recovers a fumble on the kickoff and takes over at the Hawks 30. A long Warrior drive ends with a short touchdown run. Hawks now trail 20-22. Opening play of the second half Moreno throws an interception the Warriors take over on their own 42. Halftime score Hawks lead 20-16. Long touchdown from Moreno to Kehrein on a 60 yd play! Hawks take the lead 20-16. Moreno to Kehrein for a 30 yd TD Strike! 2 pt conversion is good! Hawks trail 14-16. Moreno to Lindstrom for a touchdown. Hawks now Trail 16 - 6 but recovered a fumble on the warriors 22-yard line. Football update: Wahluke strikes first with a long drive and leads 8-0. CPHS and Sager Winter Sports are getting close. Make sure to visit cpps.org Athletics page to register using our Final Forms online system! More info on the Athletics, Sager, and CPHS News Pages! Hawks down 35 to 0 with 3 minutes left in the 4th quarter. Columbia Burbank will not have C-Team Volleyball for tomorrow 9/28 or 10/24. Varsity and JV games will still be played. 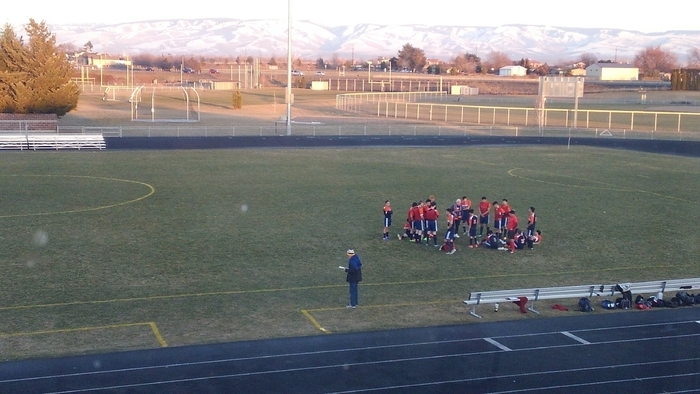 Granger wins in the second set of penalty kicks. Great effort Hawks! After the first set of penalty kicks from both teams the score remains tied. Girls soccer at the end of regulation in a 0-0 tie with Granger. 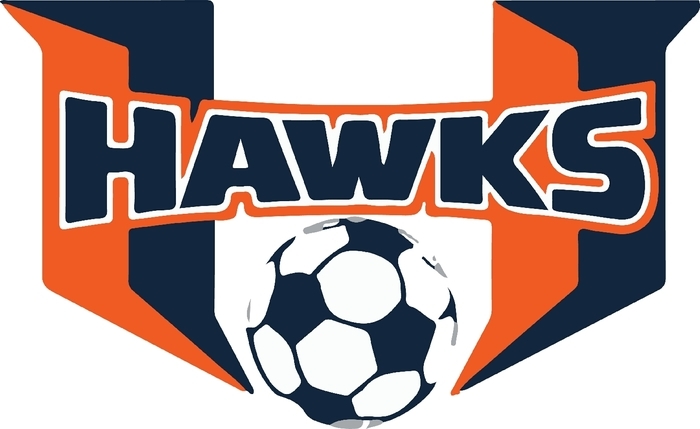 Come out and support our girls soccer team today at home vs. Grainger starting at 11 a.m. Go Hawks! Knights with a touchdown run to extend the score 63-0. One minute left in the first half. This will be the last score update of the night. Knights score again lead 50-0 with 9 minutes left in the 2nd quarter. Knights with another punt return for a touchdown now lead 43 - 0. Knights score on a 35-yard touchdown play. Extend the lead to 36-0. Knights with the 65-yard punt return for a touchdown. Now lead 29-0. 6:57 left in the first quarter. Knights with another long score now Take the Lead 22-0. Knights score on a 48-yard pass play. Now lead 15 - 0. Hawks go three-and-out punt the ball away the knights take over around Midfield. Knights TD on a 40 yard screen pass to take lead 7-0. Knights start the opening possession near the 50 yard line. 20 minutes to kickoff. Hawks take on the Royal Knights tonight. I will be sending updates throughout the game! Go Hawks! The CPHS JV Volleyball Game on 9/21 has been Cancelled. VARSITY WILL PLAY AT 6:30pm HERE AT CPHS. This Thursday's (9/21) C-Team Volleyball Match v. Ki-Be has been cancelled due to Ki-Be lacking players. JV 5:30pm and Varsity 6:30pm will still be played! The game ends on a Riverview interception. Great job Hawks, way to fight till the very end. The Riverview extra point is no good. Hawks down 7 - 13 about to get the ball on the 25 with their chance to score. Tied 7-7 headed over time! The extra point is good score is tied with 50 seconds remaining! Touchdown Hawks!¡!!!!!! Moreno pass to Kehrein! Toooouuuucchhhdooowwnnn! Hawks 4th down and 12 from the 30. Coach calls a timeout game on the line. Second down Hawks out of the ball inside the 30 minute 45 remaining. Hogs have the ball past Midfield with three minutes to go. Miguel Moreno with a interception for the Hawks. We take over on the 35-yard line. Hawks turn it over on-downs Riverview ball. Hawks continue to fight down 0 to 7 to start the fourth quarter. Have the ball near Midfield trying to put together a scoring Drive. Panthers intercept the ball on 42. A face mask penalty and Riverview takes over on the 27 going in. Hawks turn the ball over inside the five. Riverview gives it right back Hawks take over with a Touchback starting on the 20. Hawks Trail 0-7 at the half. Cameron Lindstrom with a big fourth-down interception on a goal-line stand. Returned to the 27-yard line the Hawks start the two-minute offense. Hawks force a fumble on the Riverview 1-yard line to take possession. First down Hawks 6 minutes and 22 seconds to go in the half. Riverview strikes first for the 13-yard touchdown pass to take the lead 7-0 early in the first quarter. Just about to kick off at Riverview. Go Hawks! A CPHS JV HOME FOOTBALL GAME HAS BEEN ADDED FOR MONDAY 9/18 v. RIVERVIEW @ 5:30pm. THE ONLINE SCHEDULE HAS BEEN UPDATED AS WELL. GO HAWKS! 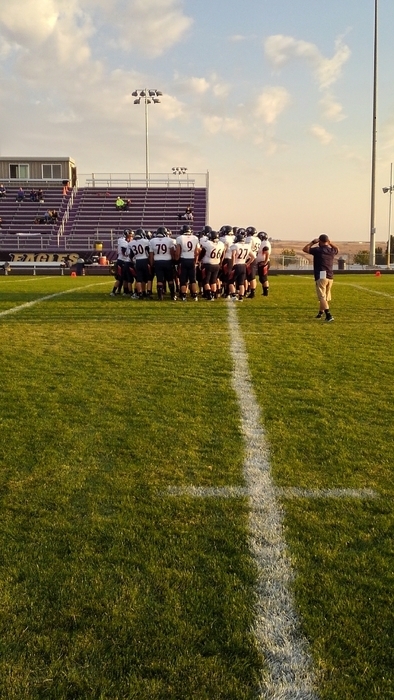 9/11 Reminder: Home Varsity Football Game v. Goldendale 5:30pm tonight! See you there, GO HAWKS! Friday 9/8- Due to Poor Air Quality all CPHS/Sager Athletics will hold indoor practices. 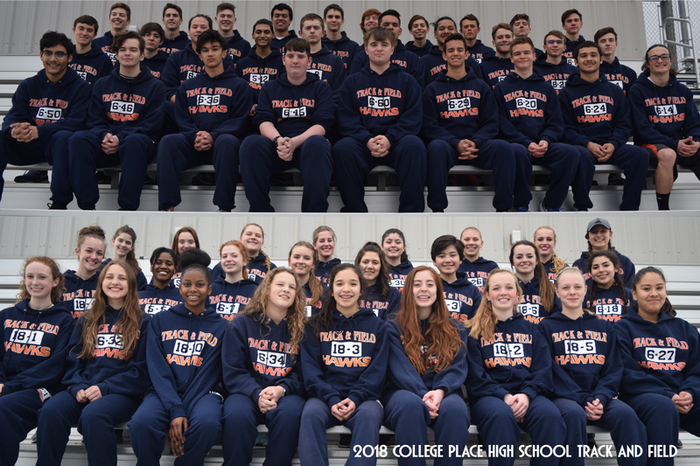 To see today's Practice Schedule visit the News Page on the Athletics, CPHS, or Sager web pages at cpps.org. The Friday 9/8 Home CPHS Varsity Football Game v. Goldendale has been postponed to Monday Sept. 11 5:30pm here at CPHS due to Poor Air Quality. 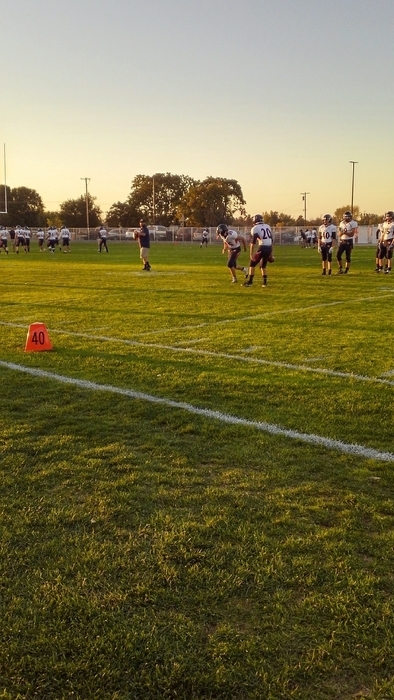 The Monday JV Game in Goldendale is Cancelled. Thurs 9/7 Due to Poor Air Quality all CPHS/Sager Athletics will hold indoor practices. To see today's Practice Schedule visit the News Page on the Athletics, CPHS, or Sager web pages at cpps.org. CPHS Girls Soccer Game @ Warden Thursday, 9/7 has been Cancelled due to Poor Air Quality. The game will be rescheduled for a later date To Be Announced. Wednesday 9/6 Due to Poor Air Quality all CPHS/Sager Athletics will hold indoor practices. To see today's Practice Schedule visit the news page on the Athletics, CPHS, or Sager web pages at cpps.org. Tuesday 9/6 Due to Poor Air Quality all CPHS/Sager Athletics will hold indoor practices. To see today's Practice Schedule visit the news page on the Athletics, CPHS, or Sager web pages at cpps.org. 9/5/17 Due to Poor Air Quality all CPHS/Sager Athletics Teams will hold indoor practices. To see today's Practice Schedule visit the news page on the Athletics, CPHS, or Sager web pages at cpps.org. Highland gets on the board with a couple scores. 34-13 Hawks lead. Cameron Marshall with a touchdown run of around 50 yards for it the Hawks. They now lead 34-0. Moreno to Taylor for another long touchdown! Hawks up 27-0 2 minutes into 2nd half. Long TD pass from Moreno to Taylor! Hawks lead 21-0 with one minute left in the first half! Moreno to Lindstrom for another Hawk touchdown! Hawks now lead 14-0! Hawks take the early lead 7-0 with a touchdown pass from Miguel Moreno to Cameron Lindstrom. Only moments away from kickoff to start the 2017 Hawk football season! Hawks are ready to take on the Highland Scottie's in a non-league opener. Go Hawks! More updates to come. 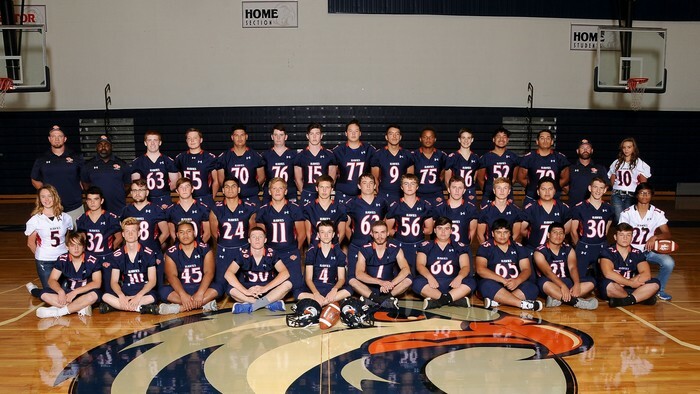 The first Hawks Varsity Football Game is tonight 9/1, 7:00pm @ Highland High School! You can follow the Hawks on the Radio at kgdcradio.com or 102.3 FM! GOOD LUCK BOYS, GO HAWKS! Sager/CPHS Cross Country will have a Preseason Player Meeting and Baseline Testing TODAY 8/17 from 3-4pm @ Commons. Enter thru the North Doors. Contact Darin Durand with questions ddurand@cpps.org. CPHS Volleyball Parent and Player Meeting Tonight @ 6pm CPHS Room #237. Volleyball parents and players be sure to attend, the season starts next week! GO HAWKS! Hawks Summer Weight Training is now closed due to the Gym closure for Resurfacing. Sorry Parents and Athletes for the late communication. The Weight Room is closed from this point on. All after-school events and activities are cancelled for today Thursday June 8th. Please check the CPHS, Sager, and Athletics News Sections for information about 2017-18 Sports Info, important dates, and registration updates! Boys 4x4 places 8th overall. Congrats to the Hawks this season, until next year! Here we go the last event of the 2017 track meet, the boys 4x4. Let's see what we have left in the tank. CONGRATULATIONS TO YOUR NEW STATE CHAMPION IN THE 1600, Kenneth Rooks! Hawks trail 0-3 going into the top of the 4th. Hawks trail 0-2 heading into the bottom of the 2nd v. Zillah. Hawks 4x4 qualifies for finals tomorrow!! Hawks fall 3-6 to the Lacenter. We'll play Zillah in about 10 minutes in the consolation bracket. Good battle ladies let's get another win. Lacentre gets 3 runs in the top of the 7th to take the lead 3-6. Hawks need a big rally in the bottom of the 7th! Let's go ladies! Still tied 3-3 entering the 7th inning. Hawks enter the home half of the 6th inning tied 3-3. Let's get some more runs! Hawks answer with 3 runs in the bottom of the 5th! Game tied 3-3! Need some runs! Hawks trying to claw back from a 3 run deficit in the bottom of the 5th. After 4 innings the Hawks trail 0-3. Need some runs ladies! Entering the top of the 4th inning the Hawks trail 0-3. After 2 innings the Hawks trail 0-2. After the top of the 2nd inning Hawks trail 0-2. At the end of the first inning the Hawks trail 0-1. Game 2 of State Softball starting shortly for the Hawks. They face defending state championship Lacentre. Good luck Ladies! Kenneth gearing up to run his prelims in the 800. Boys ran a great race, I believe they ran their season best time for the season. Congrats to Bakari, Marshall, Lindstorm and Schwarz. Sun is out for the State Track meet and your Hawks 4x100 is about ready to run. Hawks take on Lacentre at 4pm! Stay tuned for updates later this afternoon. Go Hawks! Hawks win! Hawks win! Advance to play at 4 pm in the winners bracket! Hawks get 4 huge runs in the top of the 8th to lead 16-12. Let's close this one out and advance! Hawks throw out the winning run at the plate. Game tied 12-12 going into Extra Innings! Here we go! Hawks need 3 outs to hang on for the win in the bottom of the 7th. Here we go! Hawks are in a battle but cling to a 12-11 lead heading into the top of the 7th. Hawks get 2 runs to lead 12-7 entering the bottom of the 6th inning. Hawks retain​ the lead 10-7 heading into the top of the 6th. After the top of the 5th inning, score remains 10-7 Hawks. Chimacum gets 4 runs back in the bottom of the 4th inning. Score is 10-7 Hawks going into the 5th. Hawks claw out 7 runs in the top of the 4th to take the lead 10-3! Way to go ladies! Chimacum battles back and takes the lead 3-2 after the 3rd inning of play. Hawks strike 1st! Score 2 runs in the top of the 3rd inning to take the lead 2-0! Score remind tied 0-0 after the top of the 2nd inning. Score tied 0-0 at the end of the first inning. Couple nice plays end the chimecum threat! Hawks are the visiting team...After the top of one score tied 0-0. Hawks State Softball begins at 10am v. Chimecum this morning. I will be doing live feed updates from the games today. Go Hawks! 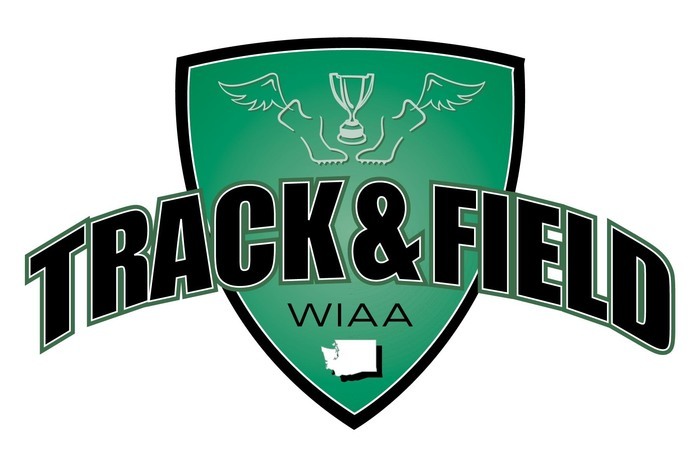 You can access coverage of the WIAA State 1A Track & Field Championships by following the web address below: http://wiaa.com/subcontent.aspx?SecID=1165 What an exciting time for Hawks Athletics! Our CPHS Hawks Softball State Tournament games will be broadcasted on the Radio by KGDC2 home of the Hawks- Radio Station: KGDC2 102.3 FM Internet Stream: www.kgdcradio.com Big thanks to KGDC! Skyward Online Summer Athletic Registration opens today! Students in incoming grades of 7-12 participating in Summer Athletic Programs at Sager/CPHS Must register online! Sports Physical is required! Congratulations to Kenneth Rooks! He is a finalist for Blue Mountain Scholar Athlete, and Male Athlete of the Year! The Awards Ceremony will be Wednesday May 24, 7:00 PM @ Baker Boyer Bank in WW. Hawks softball is the first team sport to qualify for the state tournament. Congratulations ladies way to represent! Hawks fall a little short to Zillah and the game is called for darkness. Way to go ladies you earned the 4th seed to the state tournament! Hawks tie it 5-5 after top of the 6th. Fighting darkness to earn a win....Go Hawks! After 3 innings the Hawks trail 3-5. After the first inning the Hawks lead 2-0. Hawks taking on Zillah in a 3rd/4th place seeding game for state. More updates to come. Go Hawks! Hawks win! Hawks win! On to State! Hawks take the lead 5-4. Need 3 more outs to move on! Go Hawks! Hawks tie it up 4-4 going into the 5th! After 3 innings Hawks trails 0-2. After 2 innings of play Hawks and Ki-Be tied 0-0. Hawks Softball takes on Kiona Benton. Winner goes to state! Good luck ladies...updates to come! Hawks win! Advance to play the winner of Naches and Connell. After the 6th inning Hawks are up 10-3! Ellie Christensen's 2 Run Bomb puts the Hawks up 5-2 after the 5th inning! Hawks Softball adds to the lead to 3-1 after the end of 4 innings! Score remains 2-1 in favor of the Hawks at the end of 3 innings. Hawks up 2-1 after the top of the 3rd. Hawks lead Riverview​ 2-0 after 2 innings! Hawk Softball update- at the end of the 1st inning, tie score 0-0 v. Riverview. Hawks Boys 4x400 team of Bakari, Lindstrom, Marshall, and Rooks take 2nd place and Qualify for State! Kenneth Rooks wins the 800M with a time of 1:54.05! Track update- Boys 4x100 team of Bakari, Lindstrom, Marshall, Schwarz places 2nd and advances to State! Track update- Melia Loe qualifies for state in the 3200 with a 4th place finish! 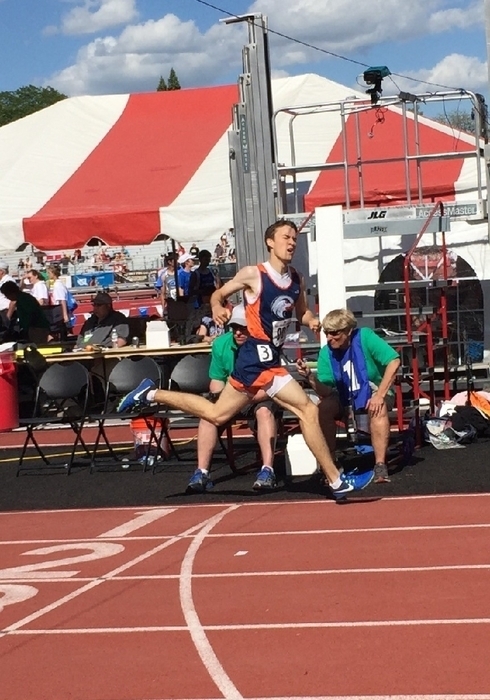 District track update: Kenneth Rooks wins the 1600m, first seed to State! Good luck to our CPHS Track Athletes today! 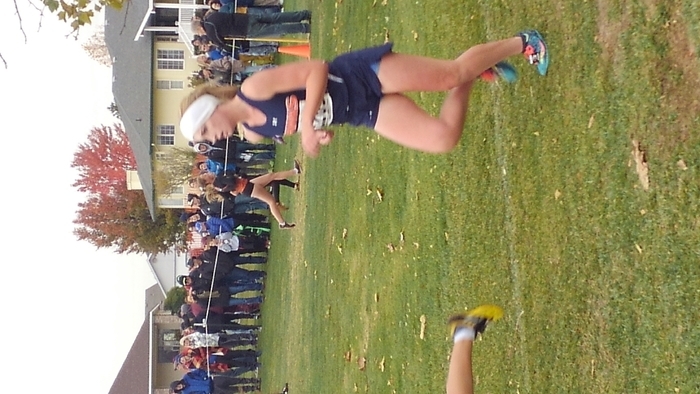 They Travel to Naches for the District Meet, with a chance to qualify for the State meet! Check back for live feed updates this evening! Final score Hawks 0 Warden 5. Hawks will play a loser out game Saturday morning 10am @ Connell High School. After 4 innings the Hawks trail 0-5. After 3 innings, Hawks Softball trails Warden 0-3. After 2 innings of play the Hawks Softball team is tied with Warden 0-0 in the first round of District play. Good luck to the Hawks Softball Team today as they play the first round of the SCAC District Tournament, 4pm @ Warden HS. Check back for live feed updates during the game this afternoon! Hawks softball wins 11-1 and will advance to play at Warden this Thursday 4pm! Hawks softball up 11-0 over Granger in the bottom of the 4th. Reminder- The CPHS Track Awards Banquet will take place tonight 5/16, 6:00pm at the CPHS Commons. Annual FREE Sports Physicals Roundup is Friday May 19th from 3-7pm at Wa-Hi. Students can get a sports physical free that is good for 2 years! See the Davis, Sager, or CPHS Main Office for Flyers! Connell defeats Ki-Be in extra innings to win the SCAC Baseball District Championship. Baseball: Naches defeats zillah 12-5 to earn third place, zillah 4th place. Both advance to the state tournament. Tennis- Emily Knight/ Bow Maiden and GraceAnn Case/Samanta Valladares will play doubles again on Monday. Good luck ladies! Hawks are defeated by zillah 4-5 to end their season. Great season boys! Hawks down 3-4 after the 6th. Rally time! Hawks down 1-4 after the 5th. Hawks down 0-3 to zillah after the top of the 3rd. Baseball tourney update: Naches defeats Royal 4-2 in game 1. Hawks are up next v. Zillah 1pm. Check back for updates. Good luck to Hawks tennis today in their sub-district matches in Connell. Good luck to boys baseball they play at Davis High School today 1 p.m. for a chance to advance to state! Baseball-Hawks beat Warden 2-0 to advance. Will play at 1pm Saturday at Davis High School for a chance to go to state! Good luck boys! 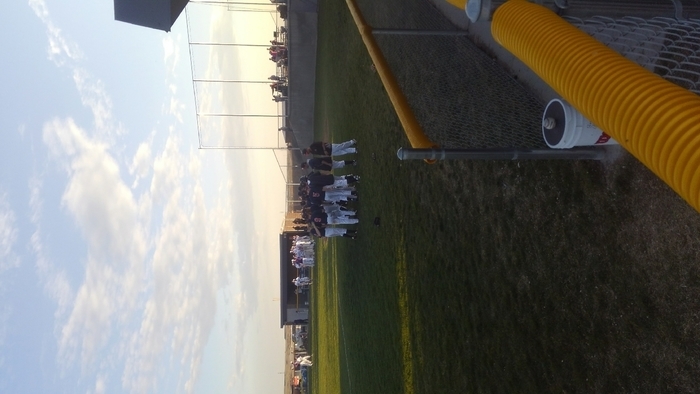 Baseball final score- Naches defeats Hawks 5-0. Hawks will host Warden at CPHS this Friday 4pm. Hawks need 5 runs in the top of 7 to extend the game. Rally time. Baseball down 0-5 after 5th inning. Baseball down 0-3 after 4th inning. Baseball down 0-1 after 3 innings of play v. Naches. CPHS Baseball- After the first inning of play score ties 0-0. Silas Shumate on the mound. CPHS Baseball Travels to Naches for the first round of the District Tourney at 4pm. Check the Live Feed for in game updates later today! CPHS softball is earns split with Connell tonight. Boys lose to Highland in a shootout to end their season. Great Season Boys! Boys soccer up 2-1 at half v. Highland in first round district match! Look for links on the CPPS Athletic Website to follow District and State Playoffs for spring sports. Will be updated soon! CPHS Soccer qualified for the district tournament today and will play at highland this Friday! Way to go boys! Correction: Sager Baseball will still practice at Tietan Park today! Sorry for the confusion. Sager Baseball Practice will be at the CPHS Baseball Field Today, NOT at Tietan Park. Come out and support the CPHS Boys Soccer Team tonight 6pm @ CPHS Stadium as they take on Warden. The Boys are fighting for a spot in the District Tournament! GO HAWKS! Come out and support the CPHS Track Team today as they host their only home SCAC League Meet of the year! They take on Royal and Riverview in a conference clash. Sager Softball Game will be played at CPHS Softball Field. The CPHS Softball team will host the event! See you there! 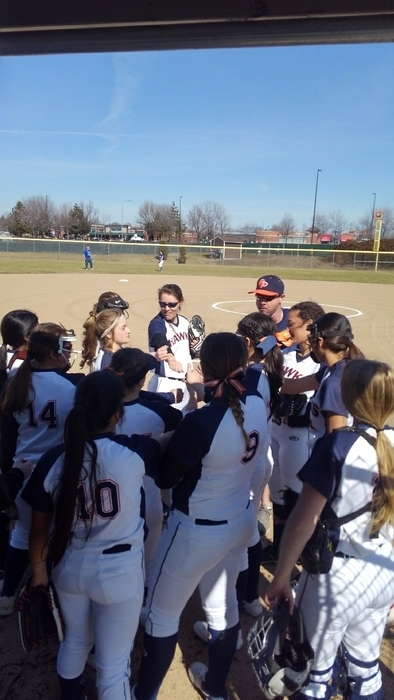 Its a great day to watch Sager Softball 4pm @ Davis Elementary, and Sager Baseball 4pm @ Tietan Park! Get out and root for the Raiders today! 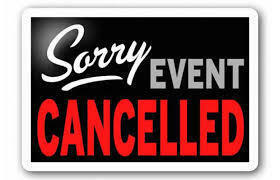 The Sager Softball Game @ Dayton/Waitsburg on April 11 is Cancelled. Reschedule TBA. Sager Baseball Game same time and place is still good to go. CPHS Spring Sports Photos are available to purchase. To order photos visit the Athletic Web Page Link. Enter the event name CPHS to access photos. Questions? Contact Cheryl King cking@cpps.org. COME OUT AND SUPPORT THE BOYS SOCCER TEAM TONIGHT, 6PM at CPHS STADIUM AS THEY TAKE ON ROYAL IN A CONFERENCE MATCH UP! Sager Baseball and Softball Games are both Cancelled Today 3/29 due to rain and unplayable field conditions! Sager's Practice Schedule for today: Sager Baseball- Sager MPR @ 3:15 Sager Softball- Davis Gym @ 3:30 Sager Track on the track on time. Save the Date- $10 Sports Physical Roundup May 19, 3-7pm @ the Wa-Hi Gym. See the Athletics News Page for Details. You can also get the forms in the Sager or CPHS Main Office! Today’s Sager SOFTBALL Game v. Dayton/Waitsburg is Cancelled due to unplayable field conditions. Reschedule is TBA. They will practice at Davis Normal Time. Rainy Day Practice Schedule: Please go to the Athletic News Page for information on today's practice schedules due to rain. Today’s Sager Baseball Game v. Assumption is Cancelled due to Rain and Field Conditions at Tietan Park. Reschedule is TBA. They will Practice Indoors at the Sager MPR from 3:15-4:45pm. 3/22/17-Softball/Baseball Games at LaSalle are CANCELLED due to poor field conditions. *Baseball/Softball will practice at normal times today. *The games are tentatively rescheduled for April 25. 3/21/17- CPHS Softball and Baseball at LaSalle have been CANCELLED. *Both teams will practice at normal times today. *All games are rescheduled for same times and locations at LaSalle tomorrow 3/22. Update: CPHS Softball v. LaSalle on 3/21- location has been moved to Kiwanis Park Field in Yakima. Baseball will still play at LaSalle High School. Both Doubleheaders Start at 3pm Tuesday. 1st EVER CPHS Varsity Boys Soccer Game today at 6pm at CPHS Stadium! Come on out and support or Boys Team v. LaSalle HS. CPHS/Sager Practice Updates for Tuesday 3/14 are posted on the online news feed for athletics. Please check there to see today's updates for sports due to weather conditions. 3/14/17- Today's CPHS Varsity Baseball Game is Cancelled Due to Unplayable Field Conditions- They will Practice in the High School Gym from 4:45-6:15PM. Sager Softball will practice at CPHS Today with the high school team. Coach Hafen had a flight delayed and is unable to make it back in time for practice. Parents please pick up players at 5:15pm. Sager Track Schedule posted online- visit scacconference.org or visit see the cpps.org athletic website for details! Sager Baseball/Softball first Practices March 6- Sager Softball- Parents Pick up @ Davis @ 5:15pm. Sager Baseball- Parent Pick up @ Tietan Park at 5:15pm. All players will be bused after school. Sports Parent Meetings tonight for the following sports- Tennis 5pm @ Sager (Coach Ferraro's Room). Softball/Baseball- 6pm CPHS (softball room 219, Baseball 237) Parents and Players need to attend! 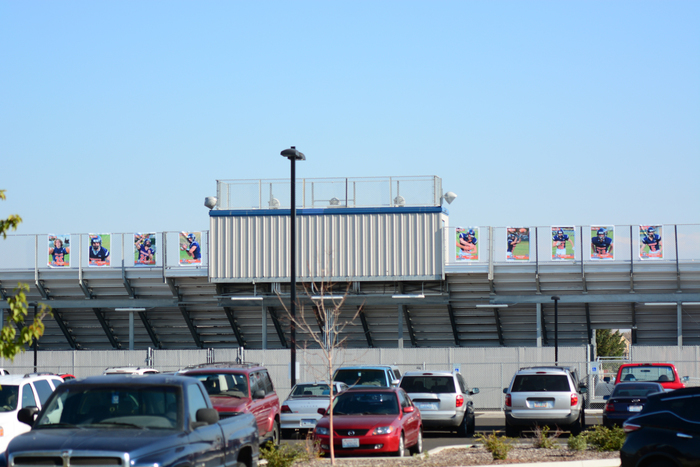 Sager Spring Sports Start Dates: Baseball and Softball- Monday, March 6. Track- Monday, March 13. Parents can register their Student Athletes online through skyward, call 509-522-3312 for help. Reminder- CPHS Spring Sports start on Mon. Feb. 27. Parent please make sure athletes are registered via Skyward and have a current sports physical on file. Call Cheryl King 509-522-3312 for help! Sager Gold Team Girls Basketball Game for Thursday 2/16 @ Prescott has been cancelled due to Prescott lack of available players. ALL ATHLETICS AND ACTIVITIES ARE CANCELLED TODAY 2/9 DUE TO SCHOOL CLOSURE. CPHS Boys Basketball Banquet Rescheduled for February 16th, 7pm @ Davis Elementary Commons. SAGER GIRLS BLUE TEAM 7/8 BB GAME V. LIBERTY CHRISTIAN IS CANCELLED TODAY 2/8/17- Blue Team will practice from 3:15-5:30pm in the CPHS GYM. Sager Gold Team will still play @ Garrison 4pm. All After School Sports, Activities, and Practices are Cancelled after school today due to hazardous road conditions. CPHS Boy's Basketball Banquet is Wednesday Feb. 8, 6:00pm and the Davis Elementary Commons. Dessert will be provided. ALL CPHS BB Teams will not hold practice or games tonight Friday 2/3. CPHS BB Games @ Warden are cancelled for tonight 2/3/17. Rescheduled for Monday Feb. 6 at Wahluke. That also means there will not be a home game v. Highland on Monday Feb. 6. CPHS Letterman Jackets Order Information is now available! Check out the Athletics page to see samples, and print out order forms. They are also available in the CPHS Front Office! CPHS Morning Weight Training is cancelled for Wednesday Feb. 1. Sager Gold Team Game at Desales v. Assumption has now been cancelled for today 1/31/17. Reschedule TBA, NO PRACTICE. Sager 6th Grade Girls Basketball Practice is cancelled today 1/31. 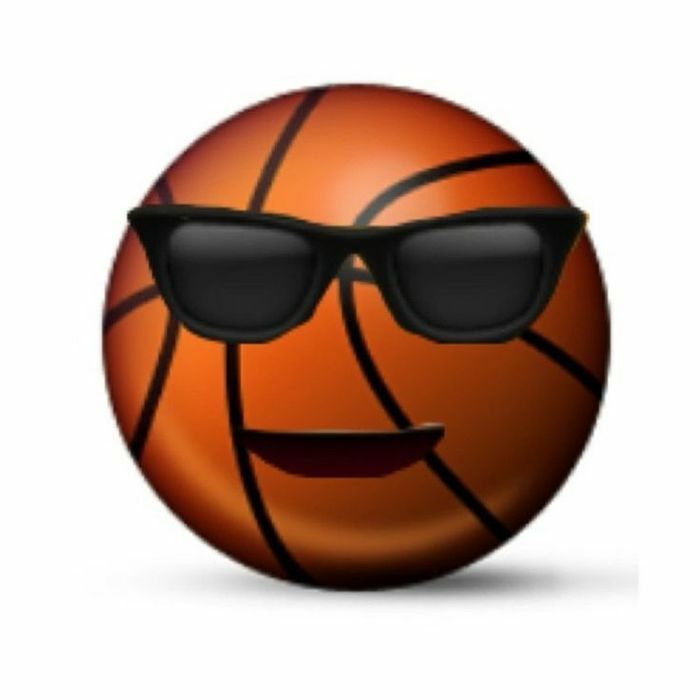 7/8 Sager BLUE TEAM Basketball Practice is Cancelled today, Sager GOLD TEAM will still play their scheduled game at Desales v. Assumption 4pm. 5th Grade Basketball Practice for Davis Elementary is cancelled today 1/31/17. Lady Hawks win first ever SCAC Conference Game by defeating the Royal Knights 42-40. Way to go ladies! 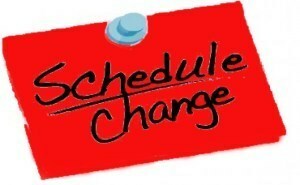 CPHS Boys and Girls Varsity Home Games v. Highland have been rescheduled for Monday Feb. 6- Girls Varsity 5:00pm, Boys Varsity 6:30pm, both games in CPHS GYM. See you there, Go Hawks! Game location update: Tonight's CPHS GIRLS JV and BOYS C-TEAM Games will be played at Royal Middle School due to an event conflict. All Other games will be at Royal High School. GO HAWKS! 7/8th Sager Girls Basketball Schedules have been updates to include new Gold Team Games on Feb. 1 and Feb. 8. See the Schedules sections for details or visit scacconference.org for live schedules. Jan. 18 Boys C Team v. Highland Game Cancelled- Highland will not have enough players to participate, all other games will be played that night. 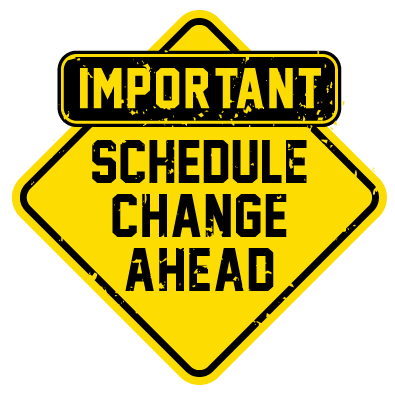 Due to weather there have been changes made to the CPHS Basketball Schedules for Jan. 17/18. See the Athletics News Page, or visit the scacconference.org website for more details. ALL CPHS ATHLETIC PRACTICES ARE CANCELLED TODAY 1/11/17 DUE TO INCLEMENT WEATHER. CPHS Girls Basketball Practice is Cancelled today 1/10/17 due to inclement weather. ALL CPHS SPORTS CANCELLED TODAY 1/7/17 DUE TO WEATHER CONDITIONS. GAME NIGHT! Come out and support our CPHS Basketball Programs tonight at Home! We play Riverview starting with JV's @ 4:30PM, C @ 6PM, Girls Varsity @ 6PM, Boys Varsity 7:30PM. First 7/8th Grade Girls Basketball Practice Starts today at 3:15 PM in the Sager Gym. Girls must have a current physical and Skyward Athletic Registration completed online to participate. 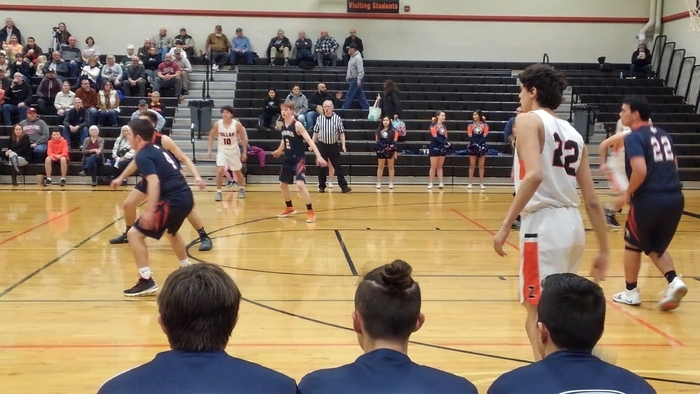 Check the Athletic News Page for Desales Varsity Basketball Tournament information. SAGER GOLD TEAM GAME IN DAYTON CANCELLED 12/14/16 DUE TO WEATHER. PRACTICE AT SAGER 3:15-5:00 PM. Correction: C Team Will Boys Basketball will not practice they have a game at Mac-Hi 4:30 PM, Bus Leaves at 3:15. CPHS Girls JV and Varsity Basketball practice is cancelled tonight. Mac-Hi Basketball Tourney Update, see documents or athletic news to view the schedule. Parents - need assistance with online sports registration? Come tonight to CPHS from 5-7 PM to the computer lab. Please be sure to bring your students current physical. Basketball coaches needed at CPHS and Sager! Please contact Kenneth James or Marissa Waddell if you are interested. Hey all volleyball supporters come out for the first game of the 2016-2017 season Thursday, September 8th at CPHS gym 5:00 JV and 6:30 Varsity. Parents and CPHS sports fans- catch all varsity football games this fall on FM 102.3, KGDC2, with broadcasts starting at 6:35pm Friday nights hosted by CPHS teacher Scott Reardon calling the action!